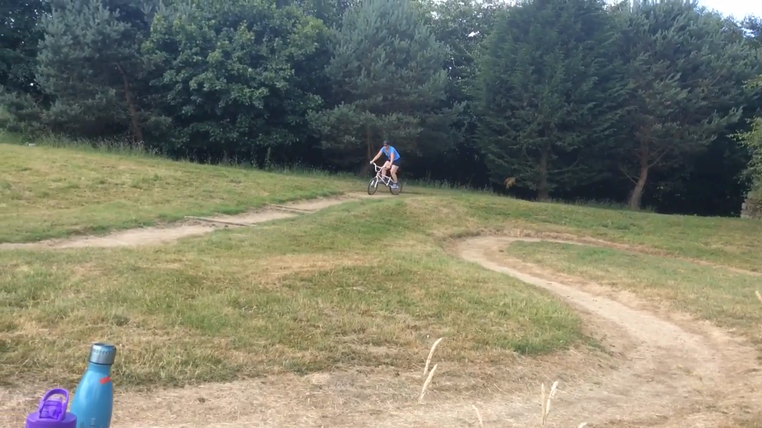 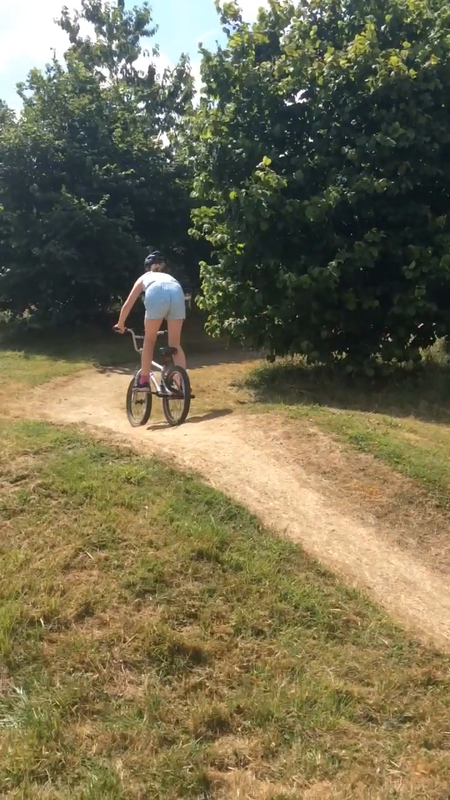 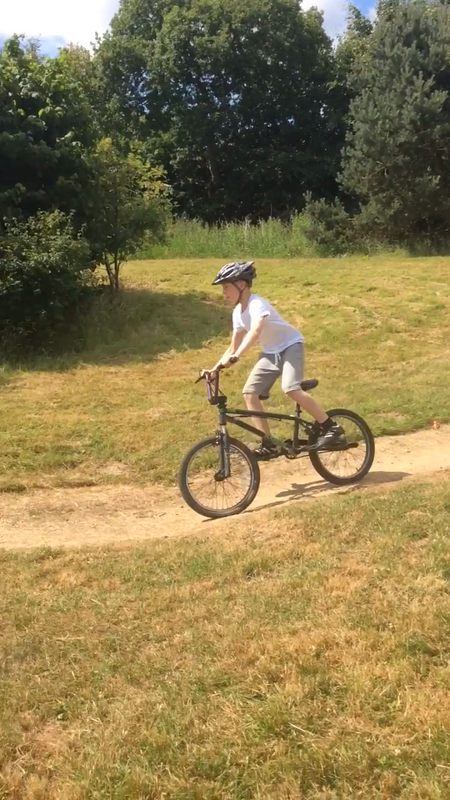 BMX - even Mrs Clarkson had a go! 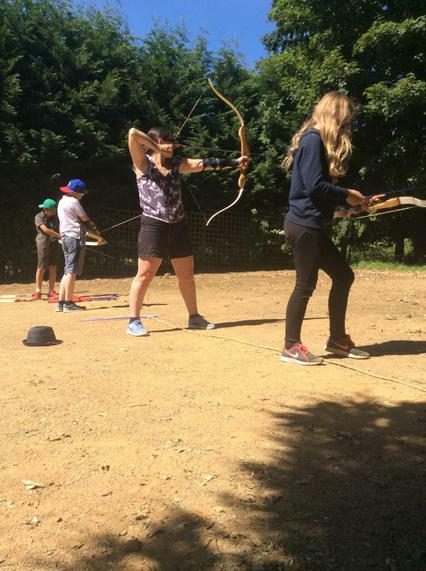 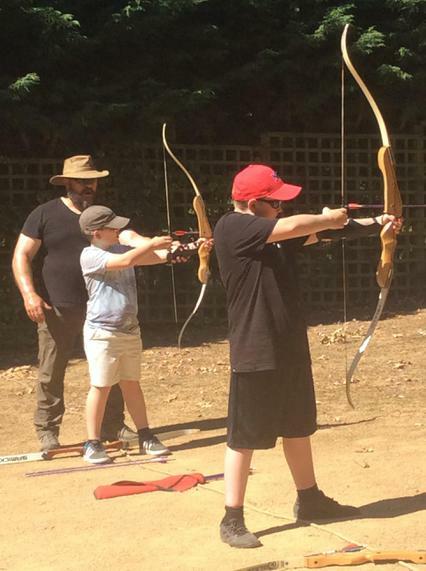 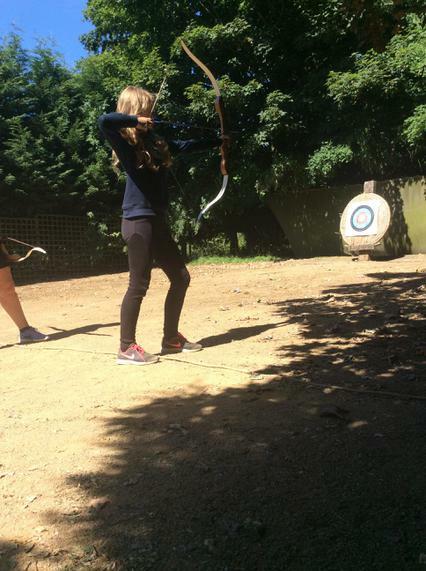 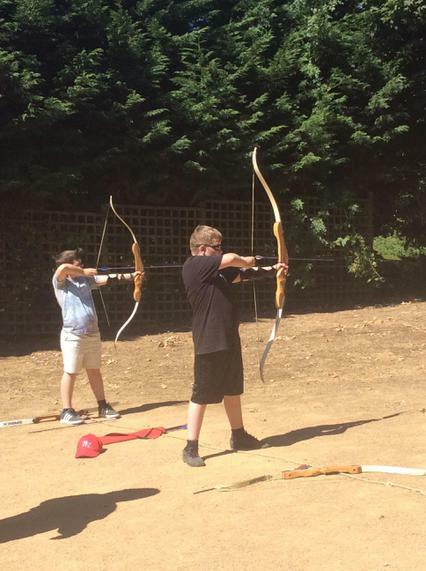 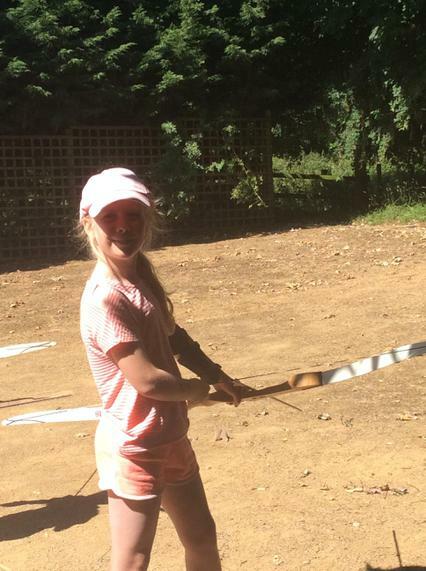 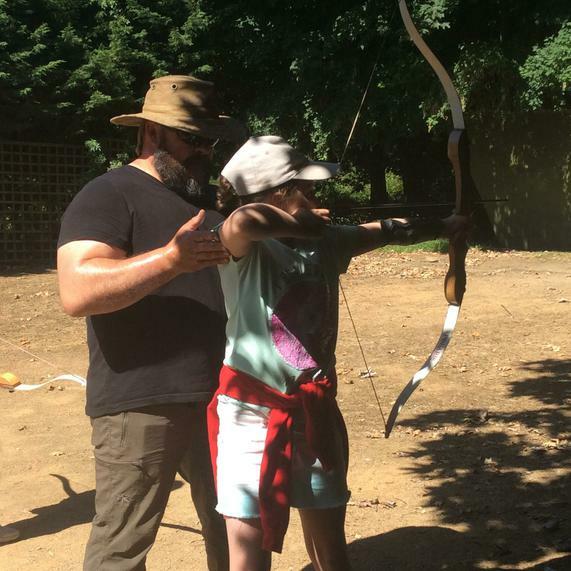 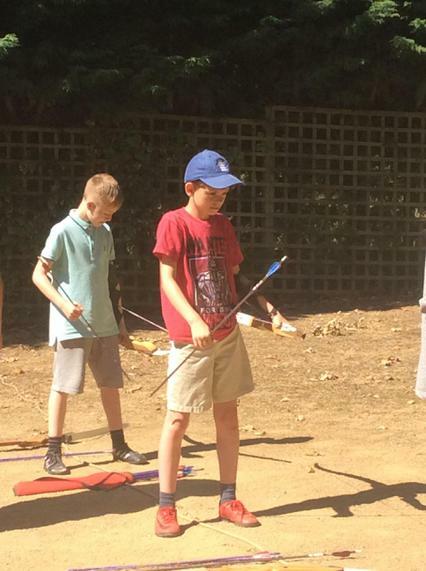 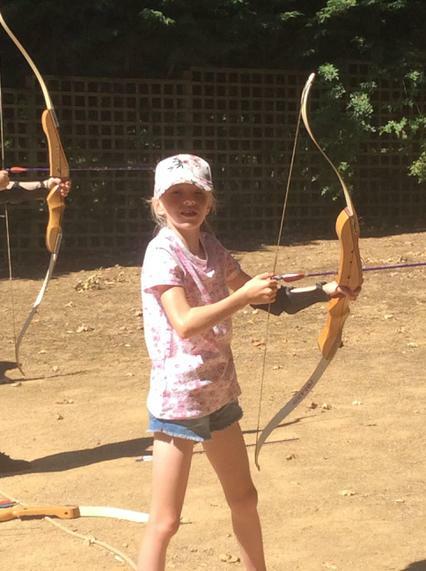 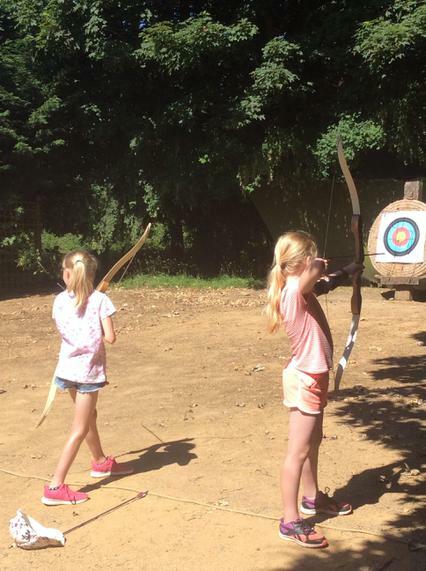 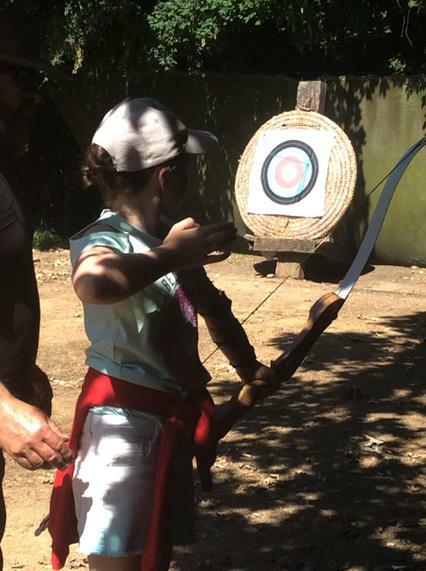 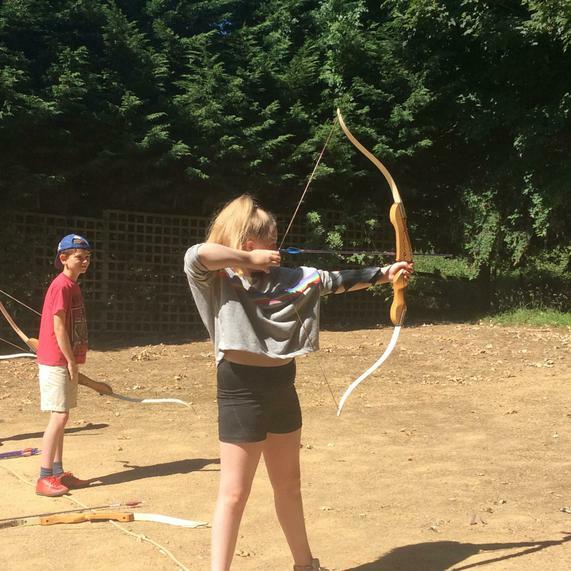 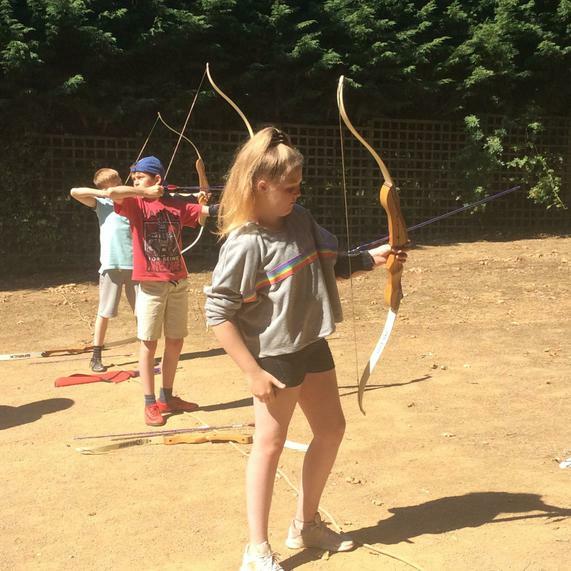 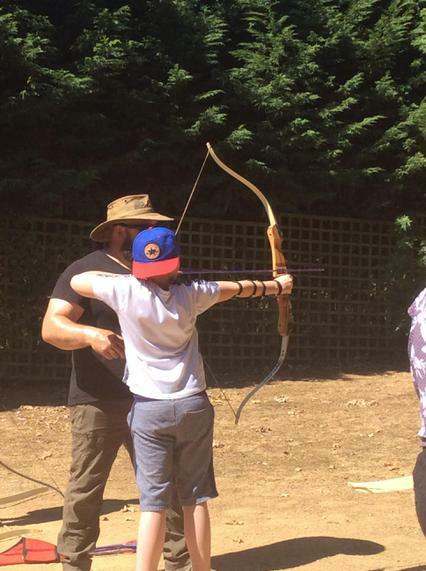 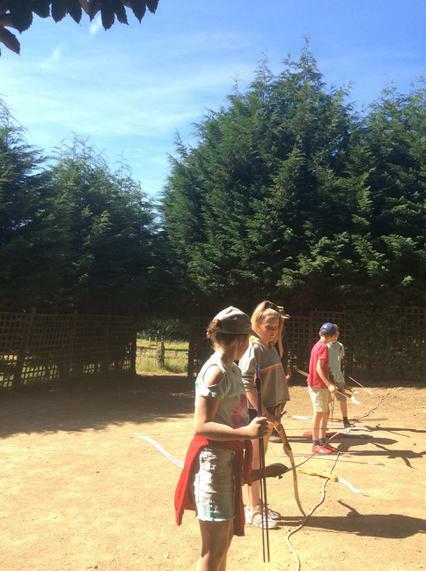 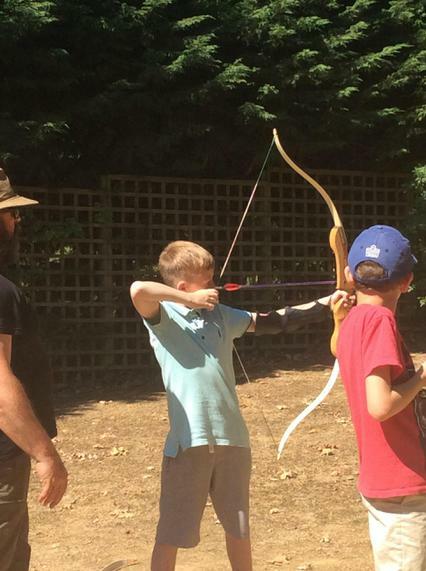 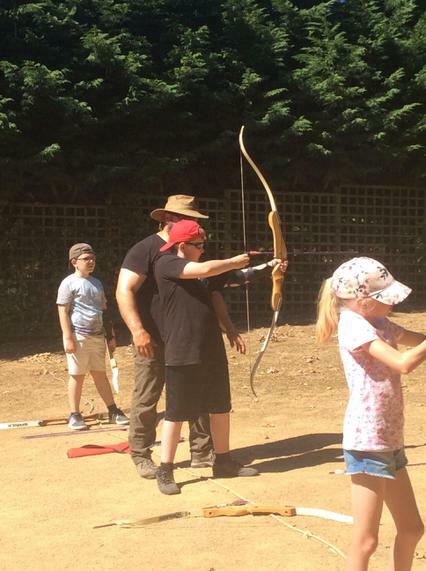 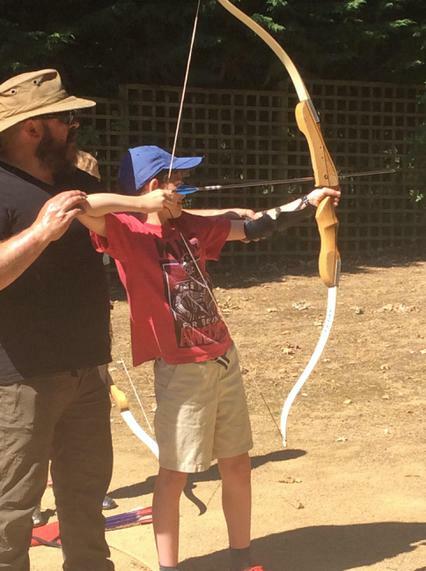 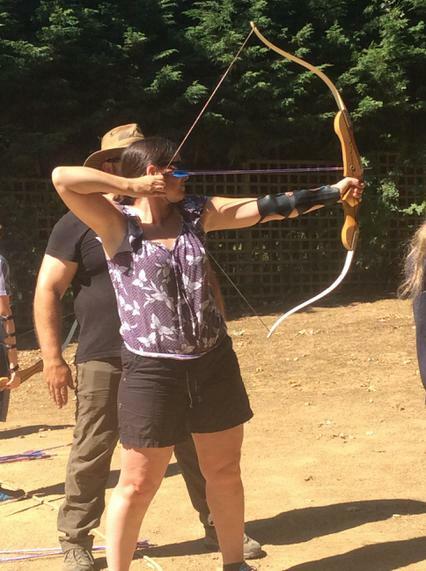 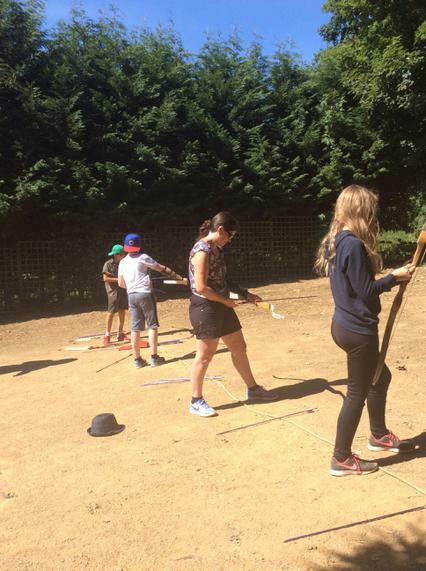 The fun continues with archery. 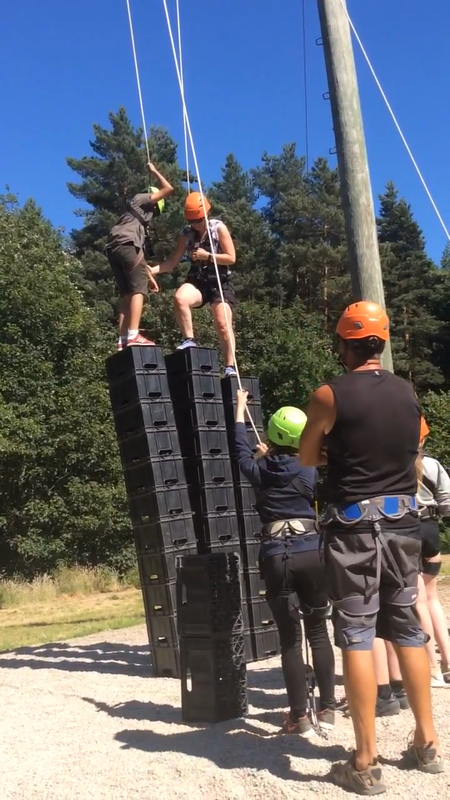 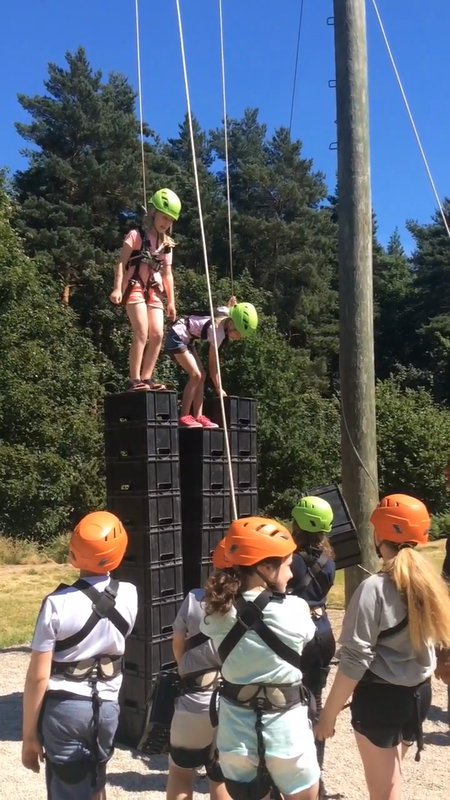 Day 2 - Afternoon activity- Crate Stacking!!! 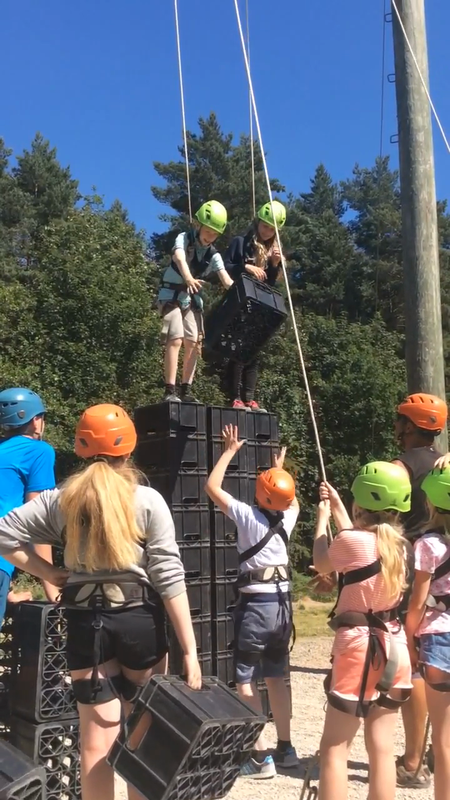 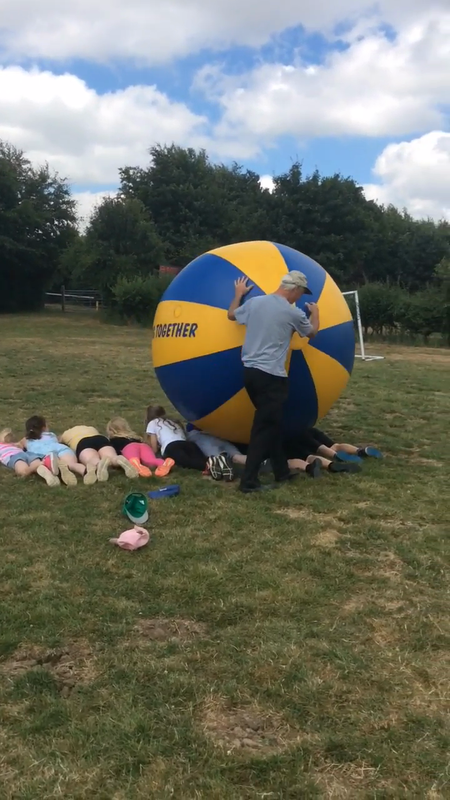 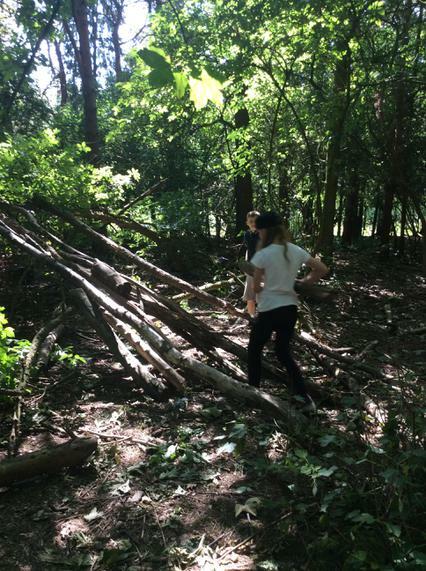 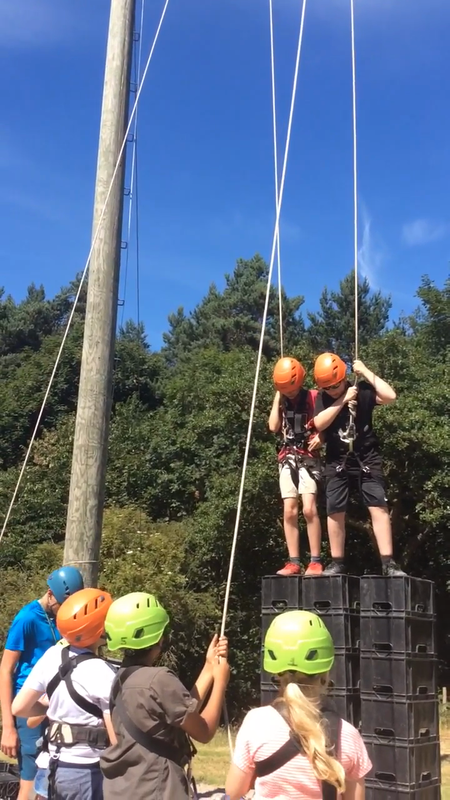 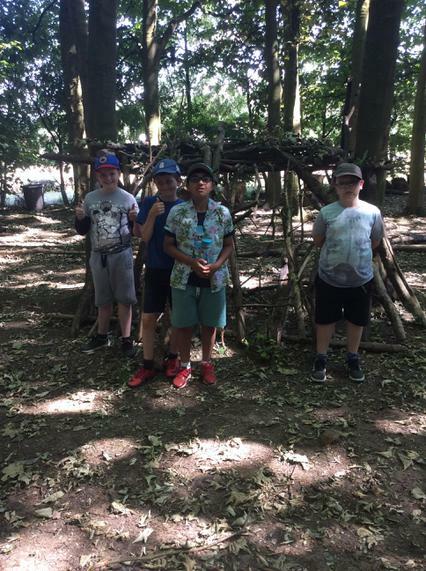 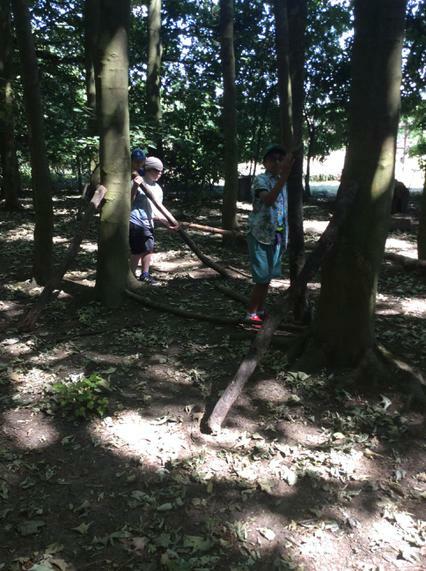 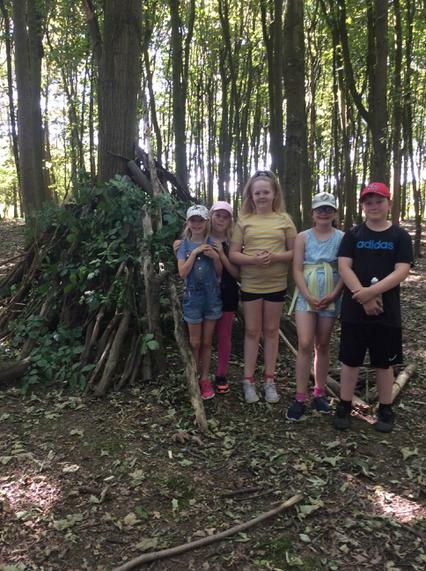 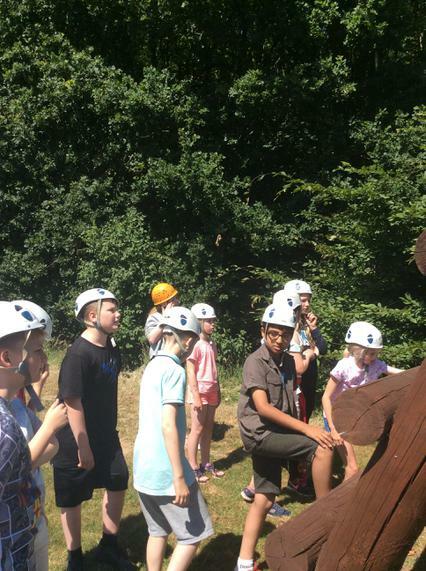 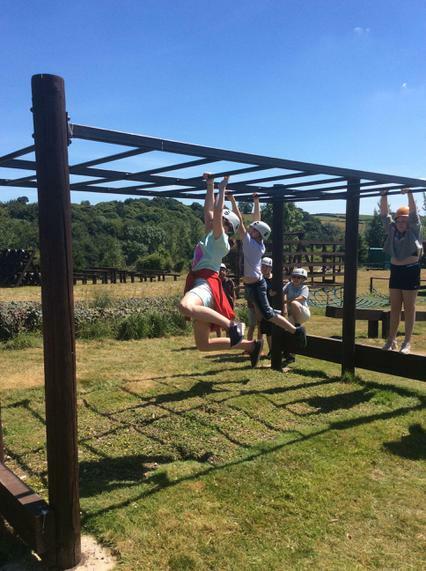 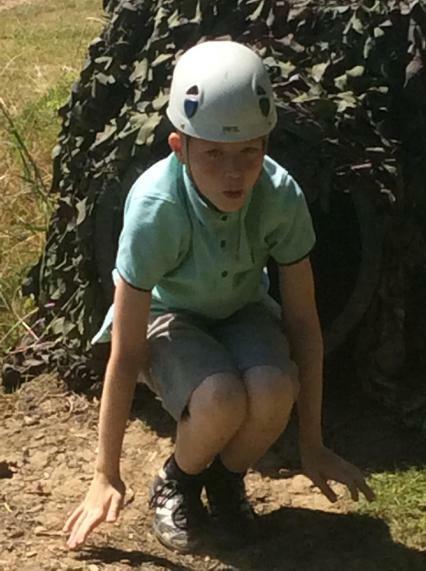 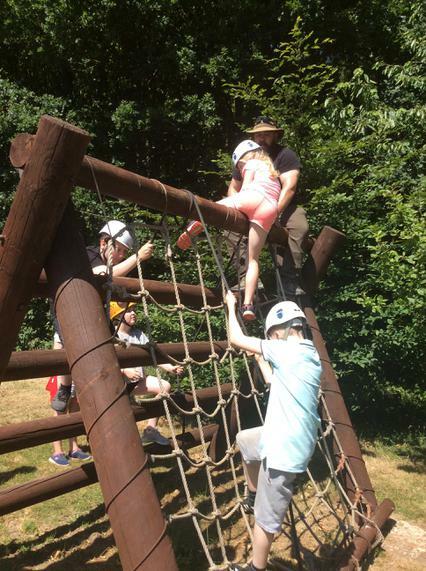 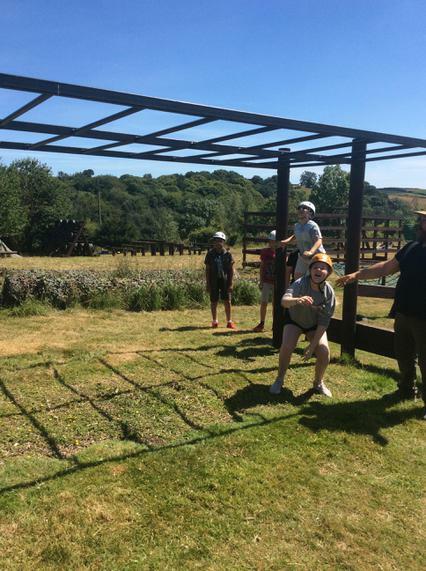 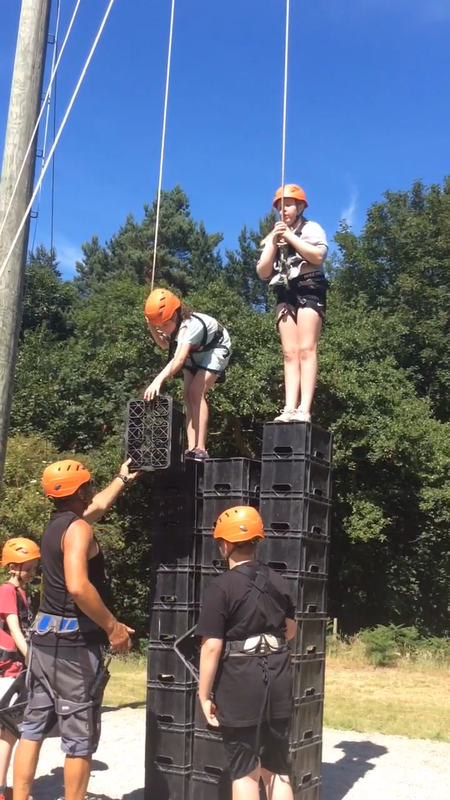 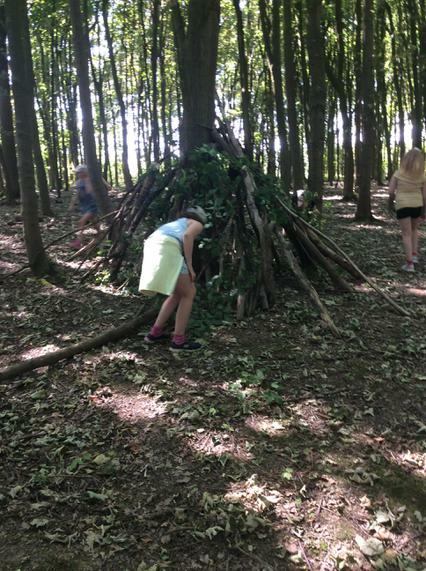 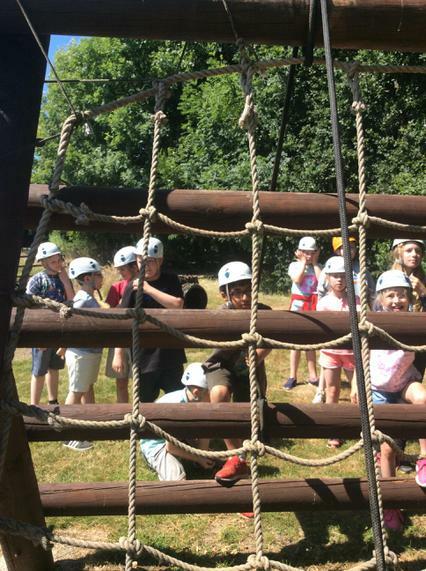 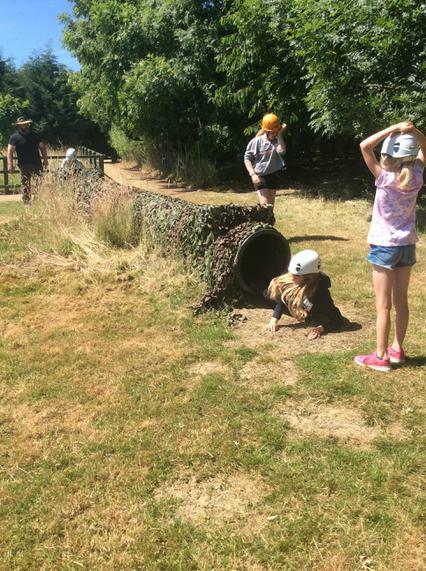 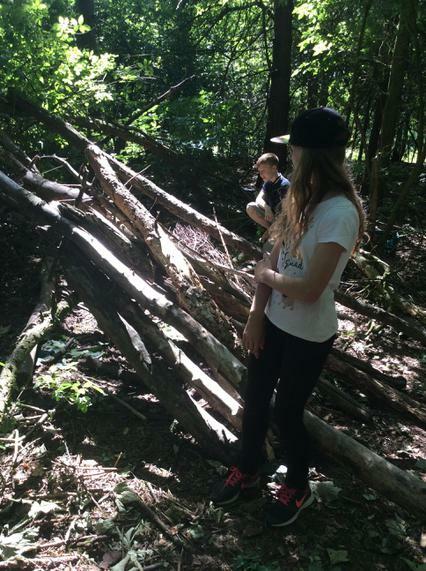 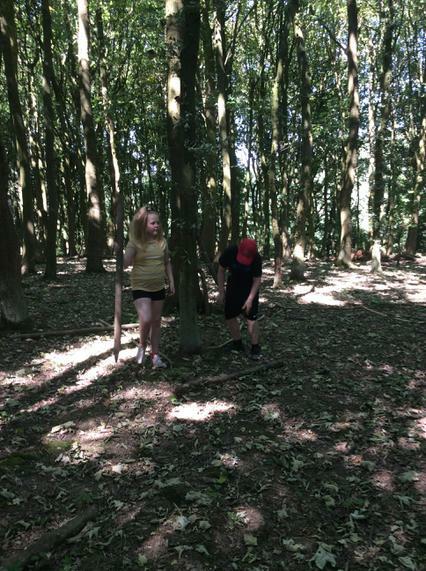 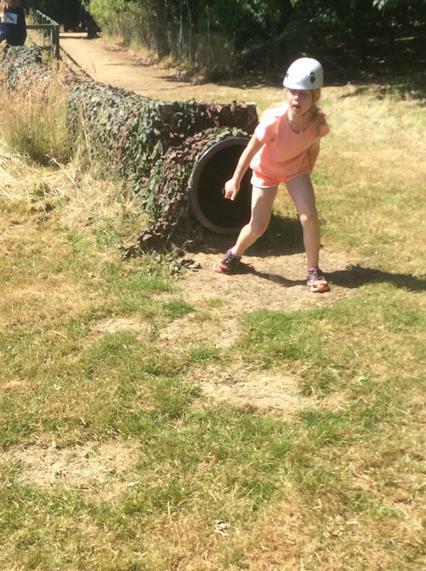 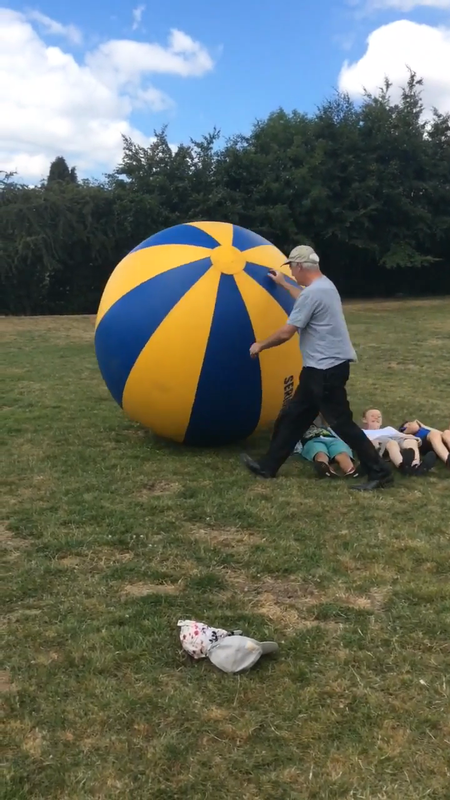 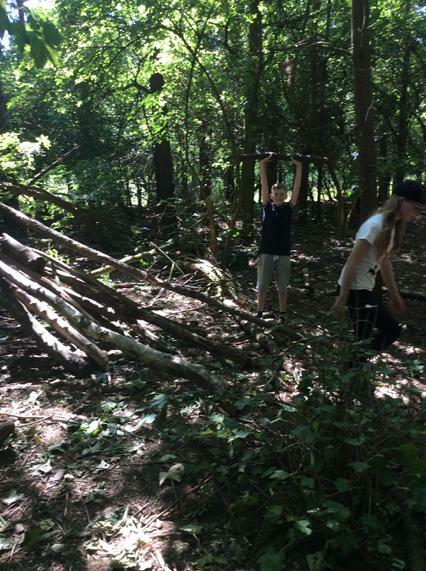 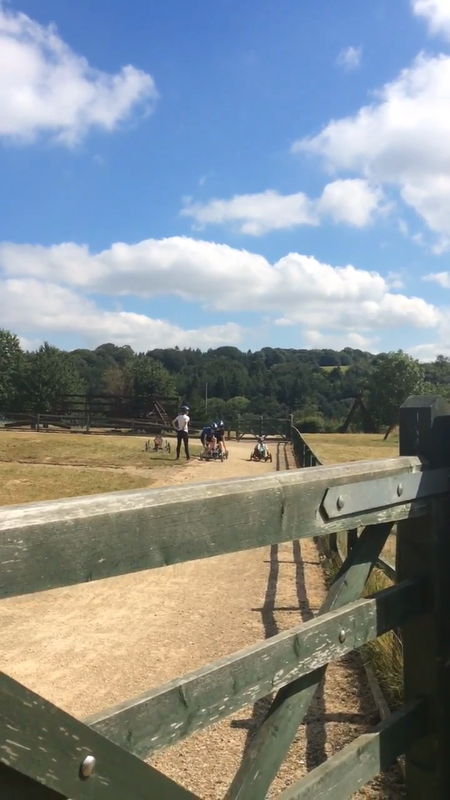 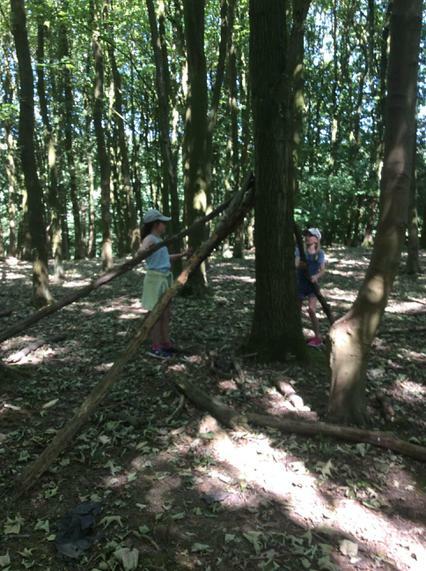 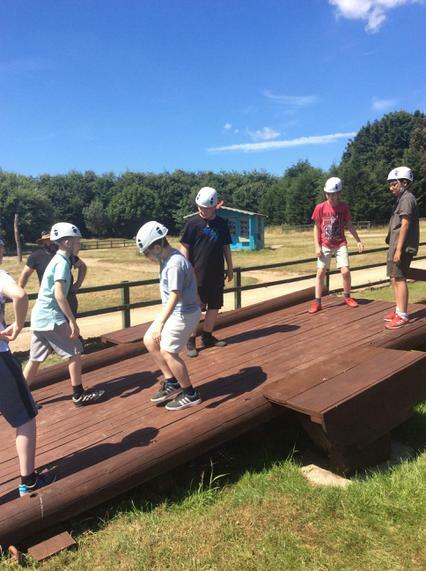 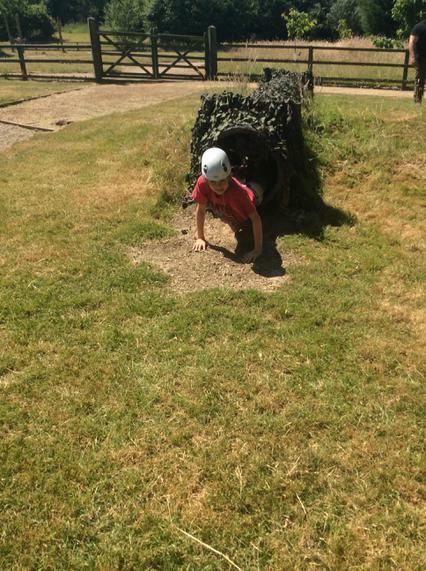 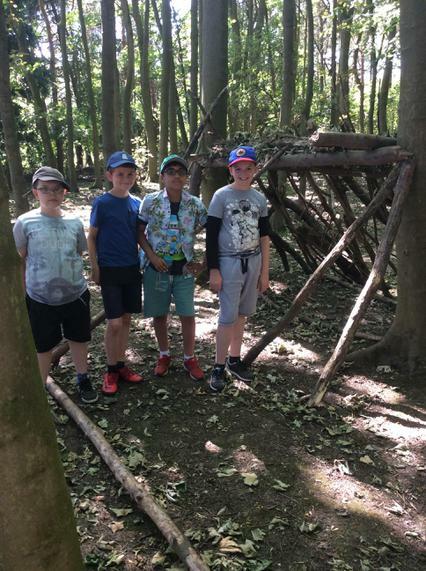 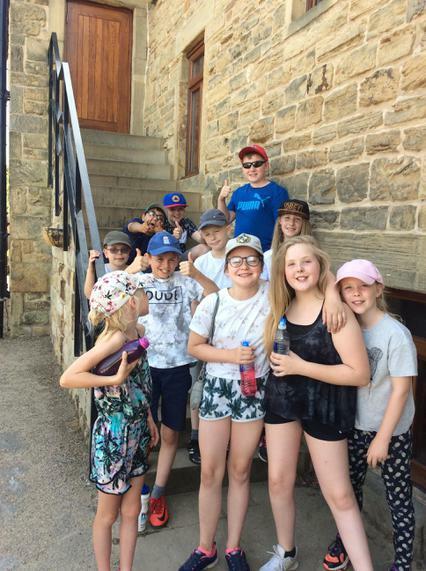 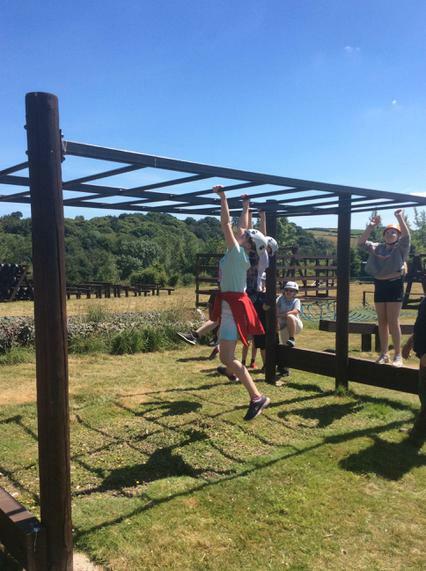 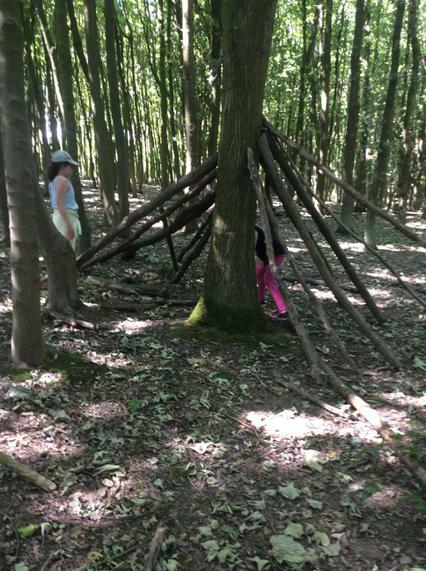 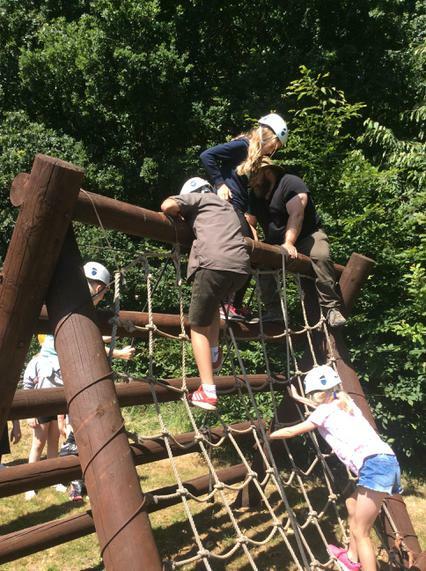 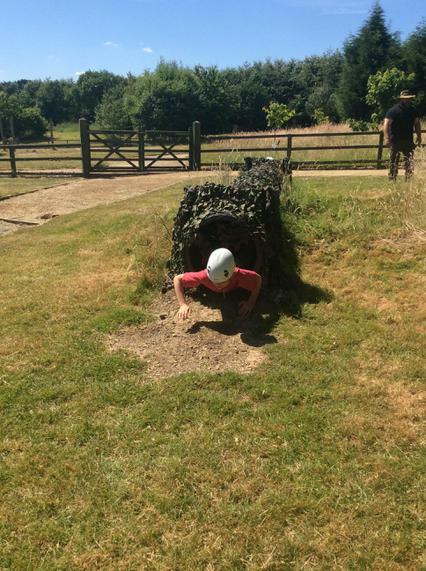 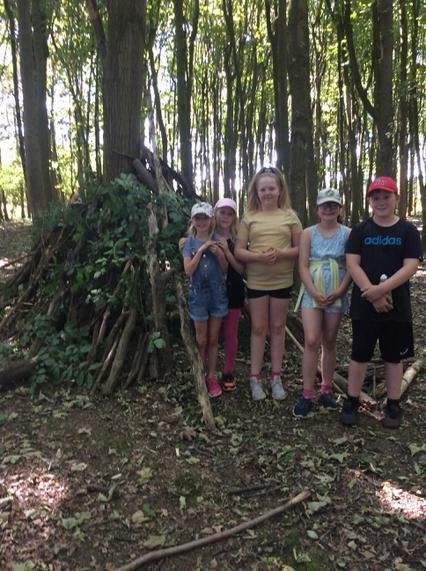 It’s been another hot one but as you can see we have thoroughly enjoyed crate stacking. 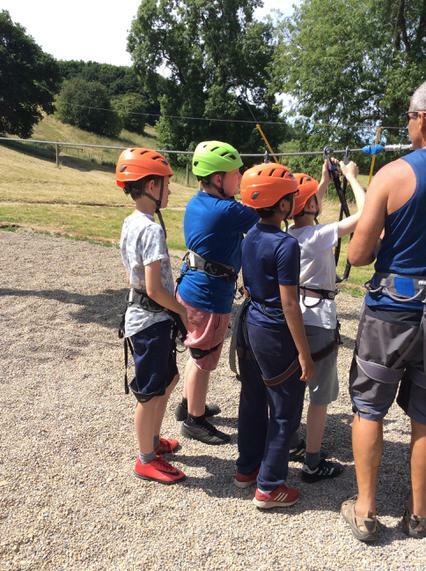 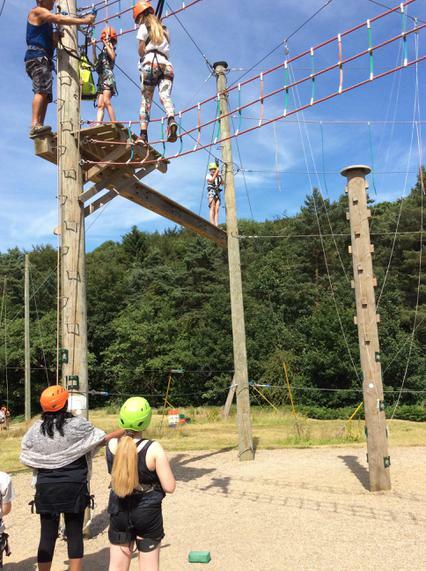 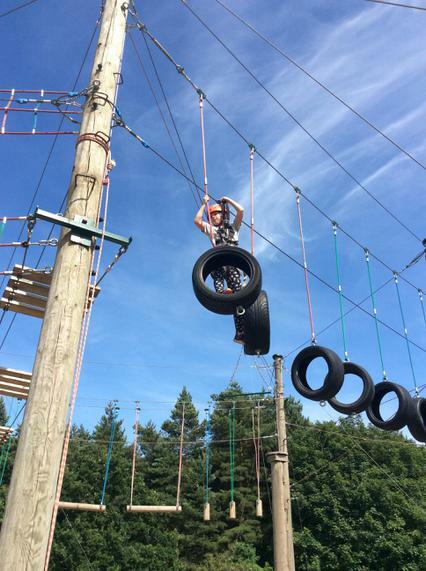 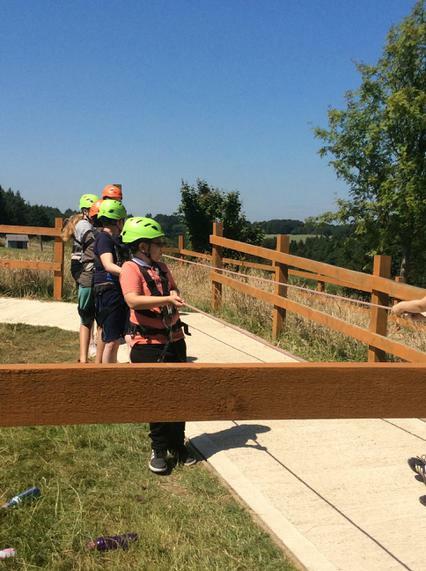 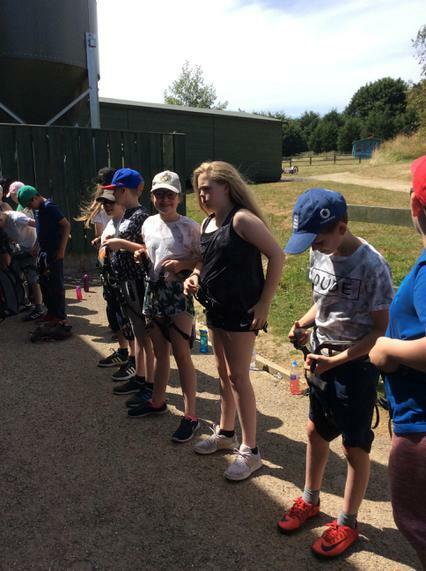 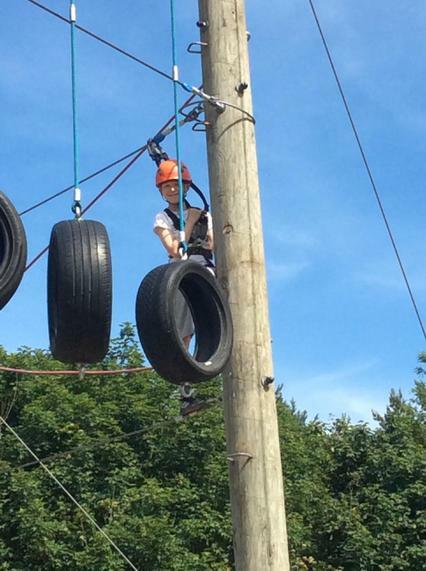 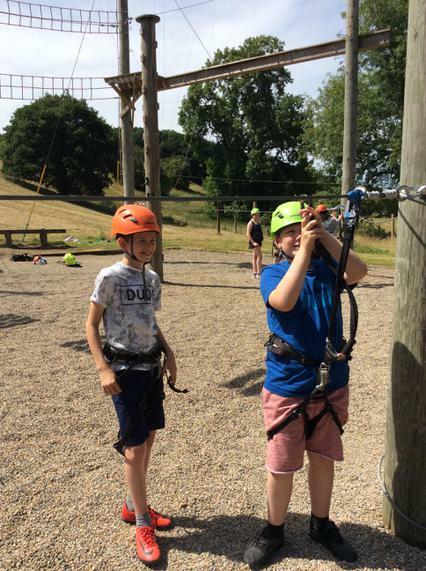 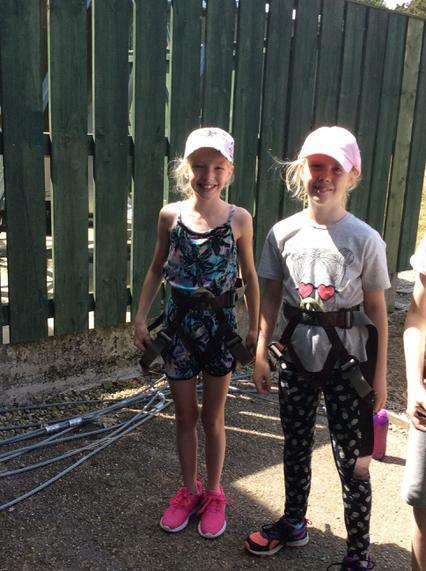 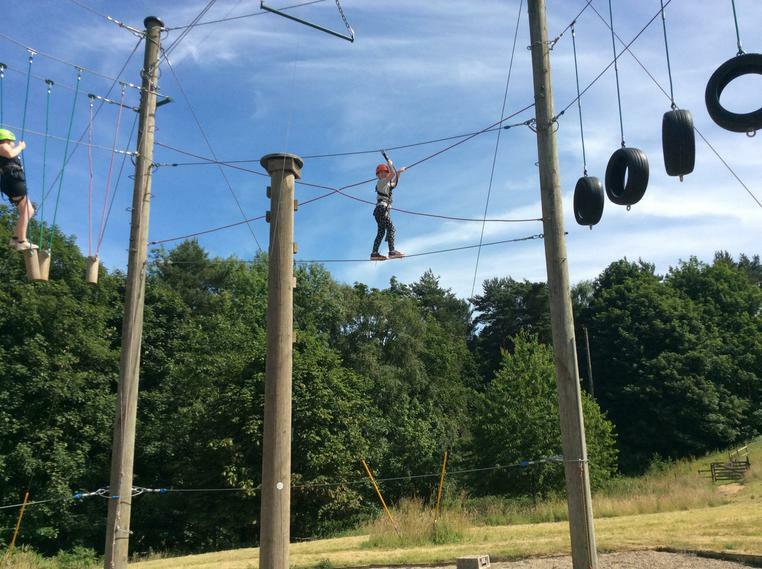 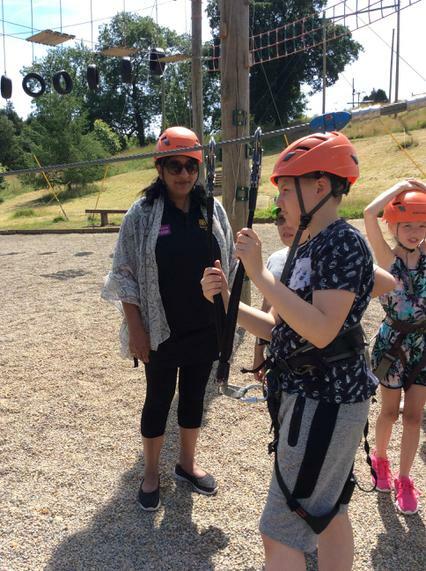 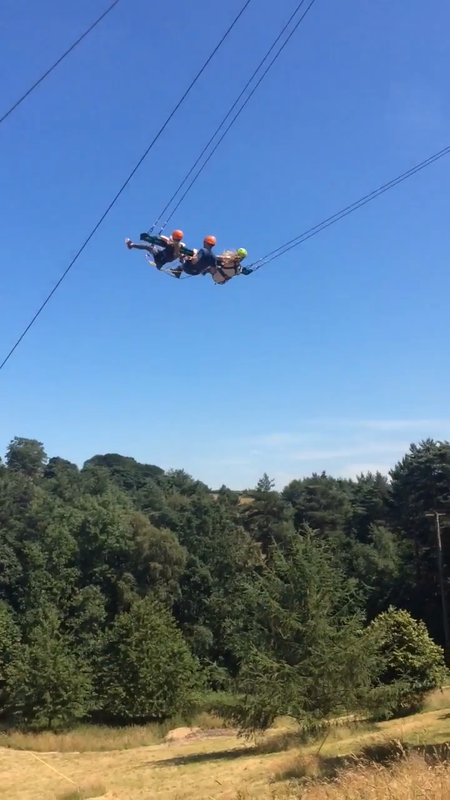 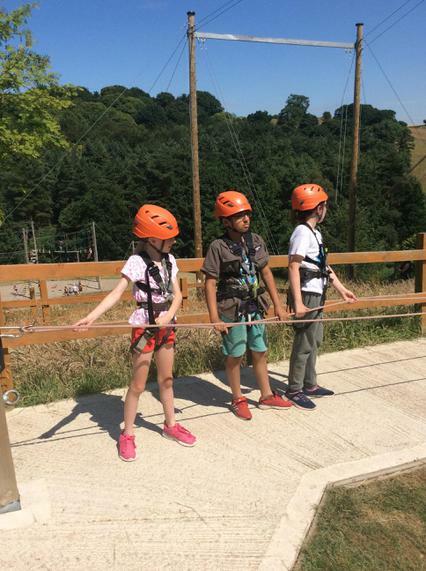 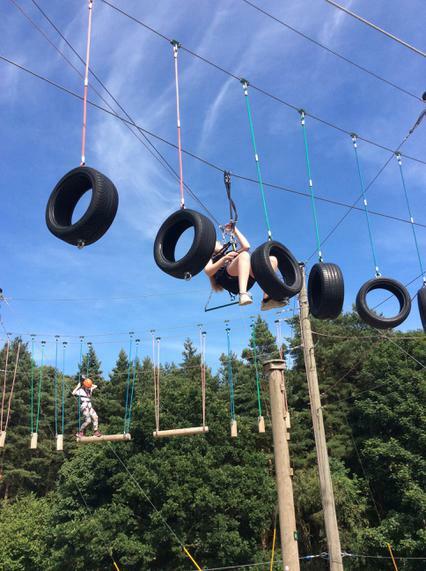 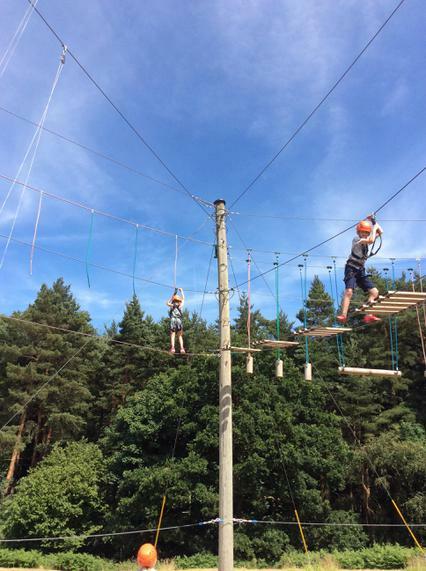 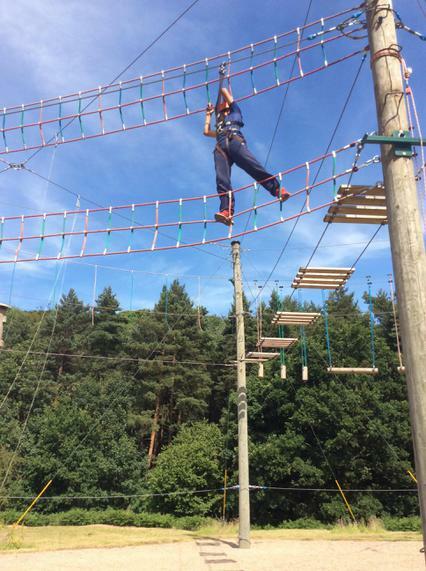 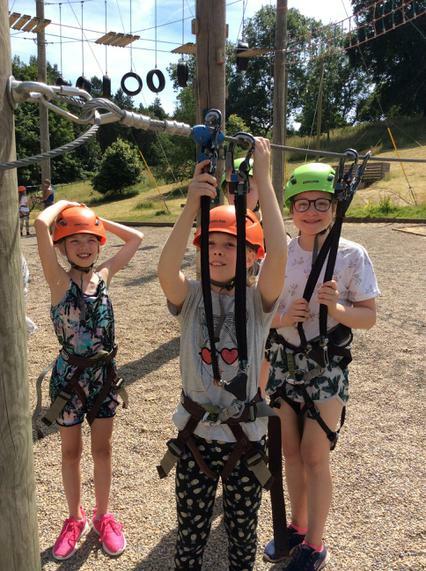 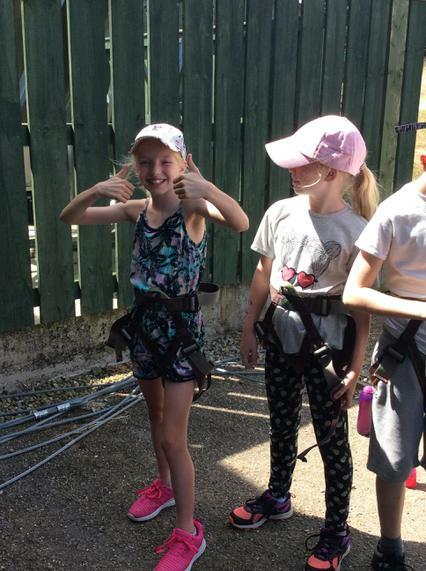 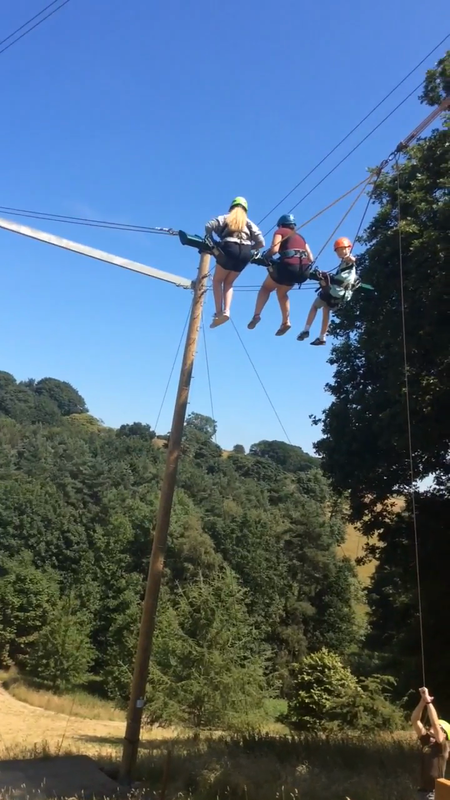 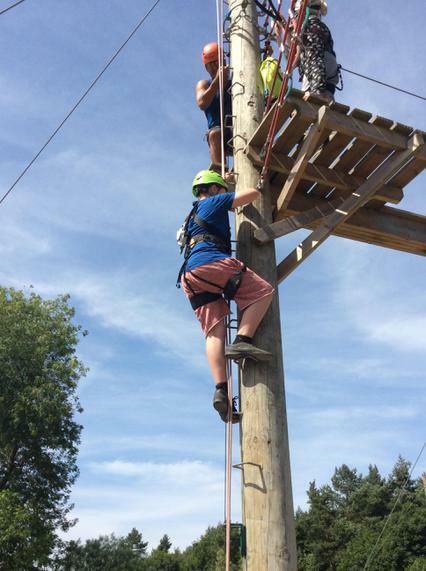 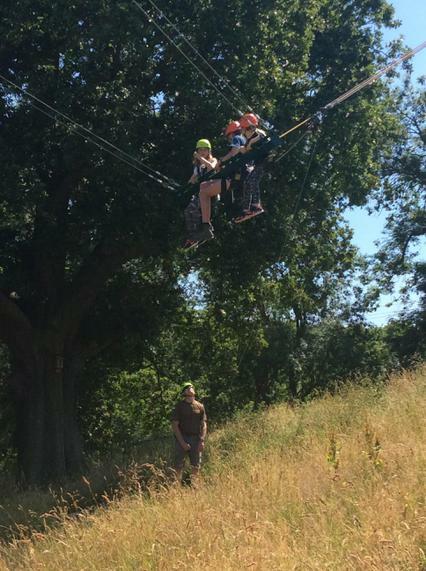 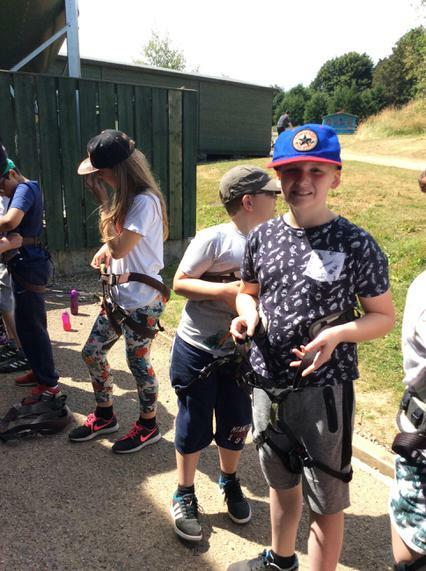 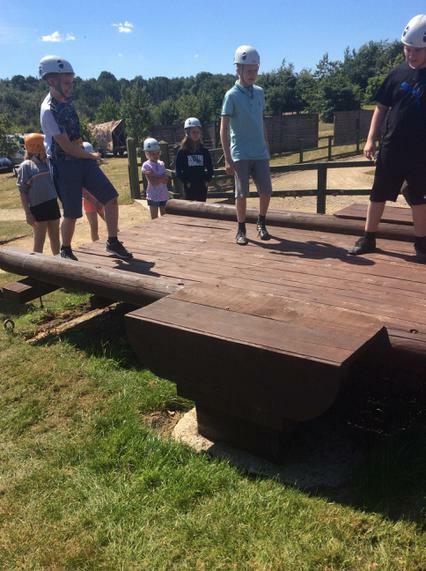 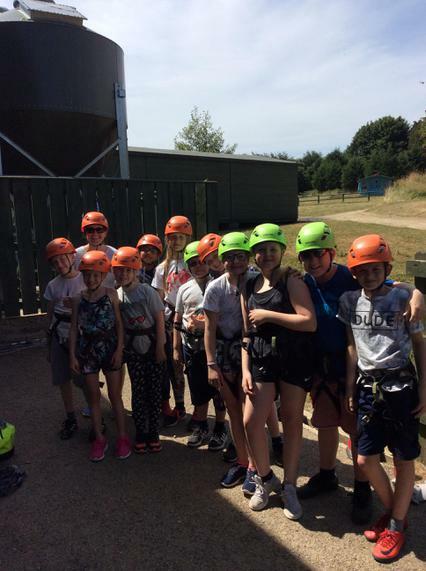 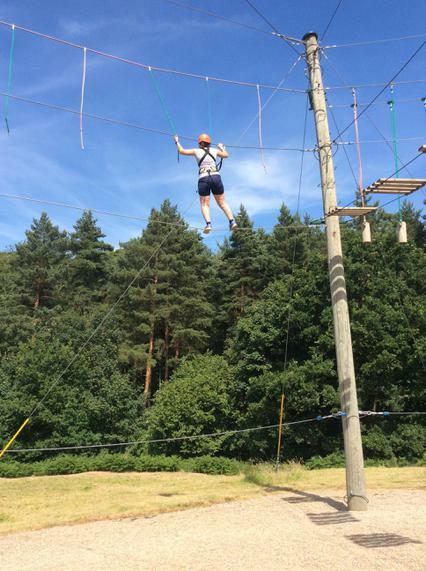 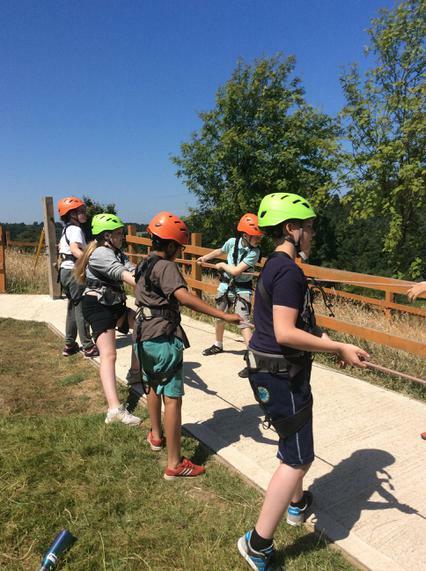 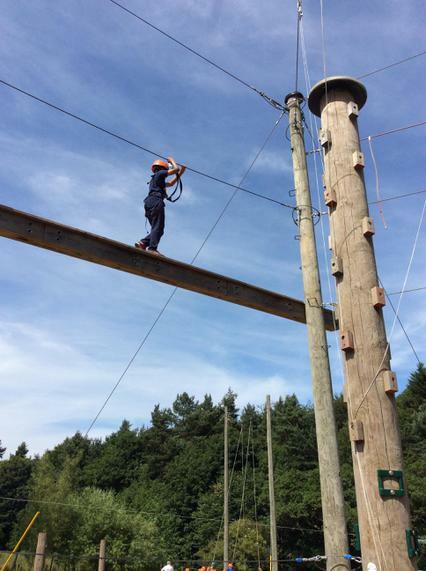 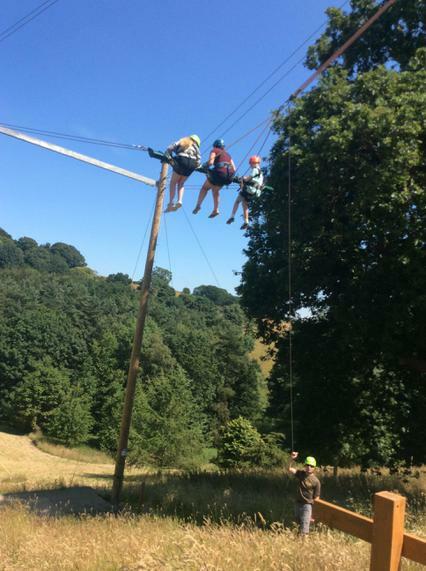 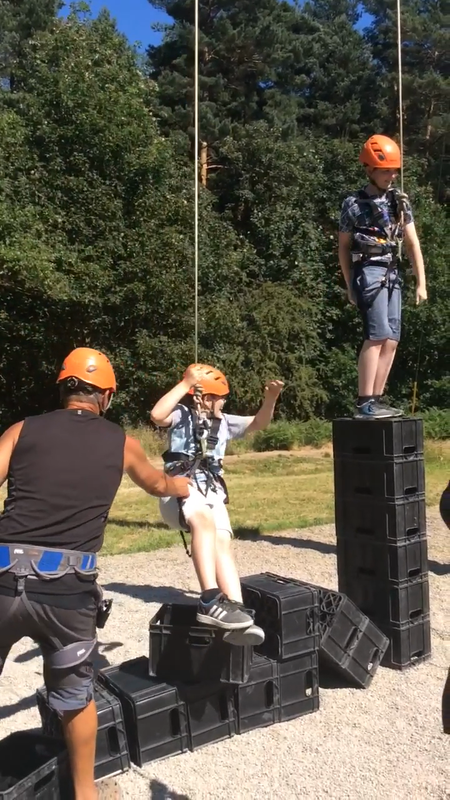 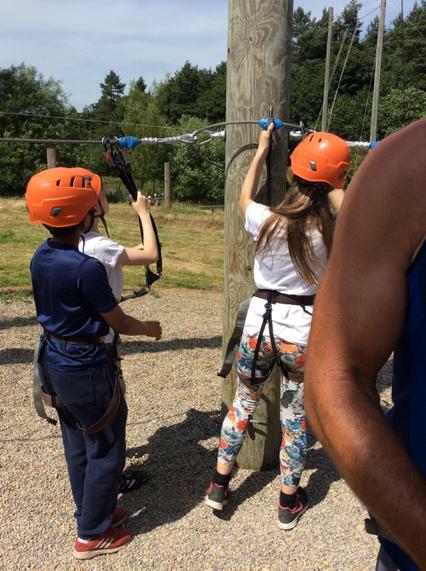 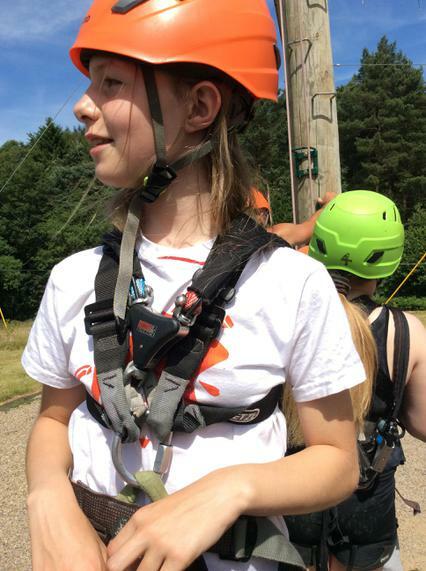 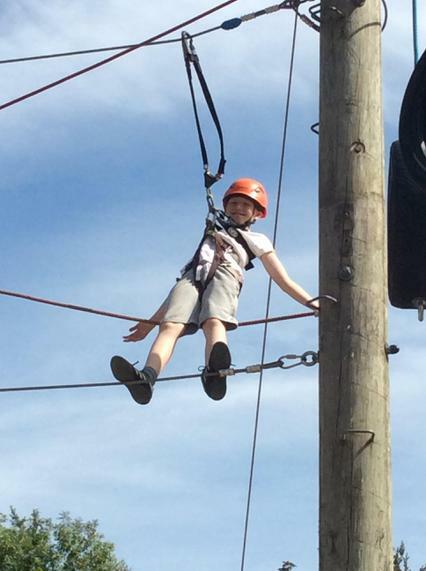 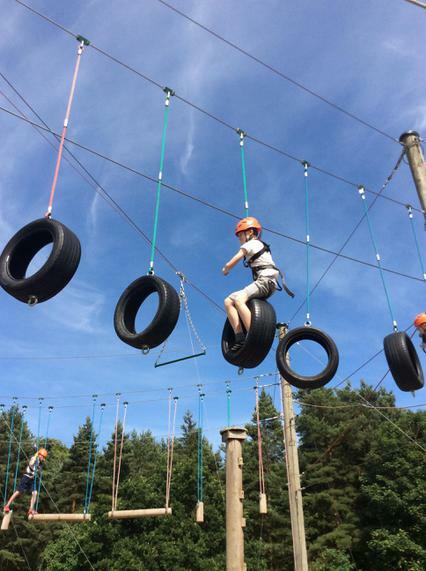 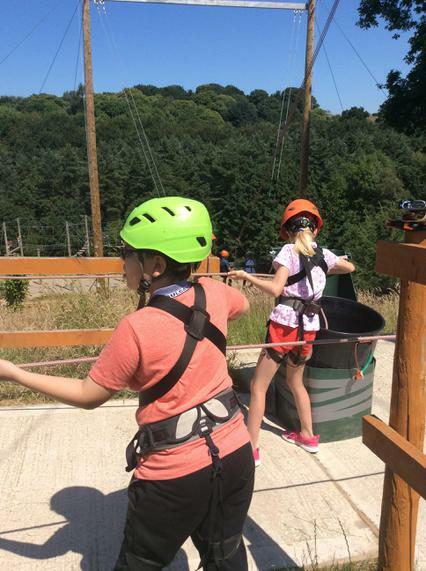 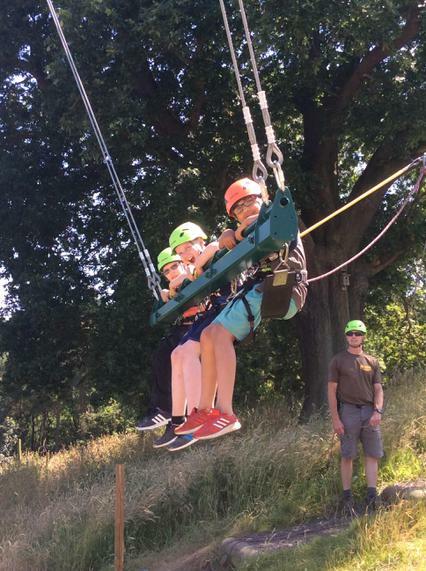 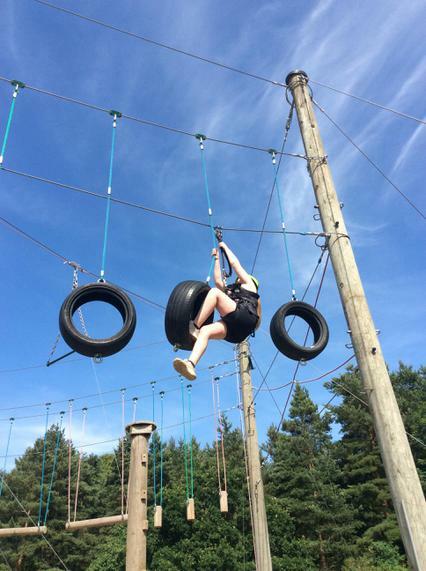 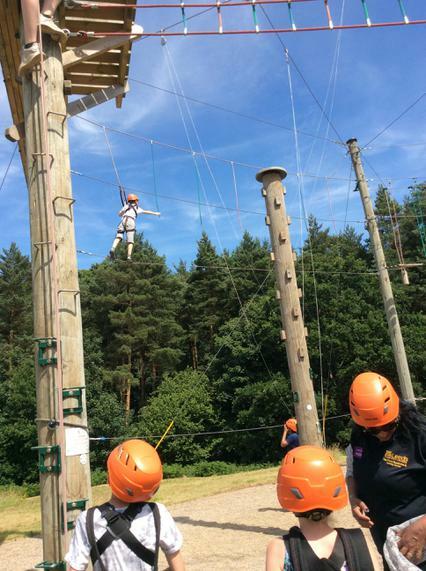 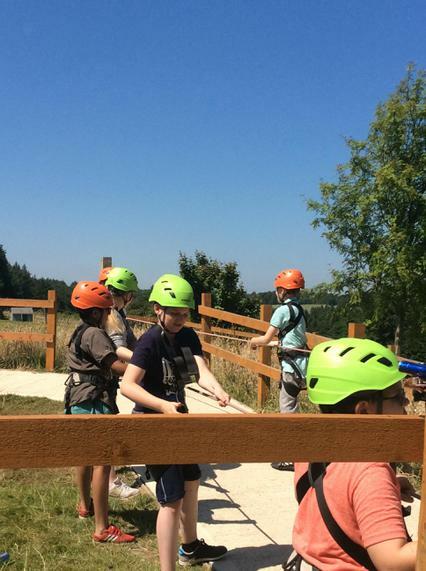 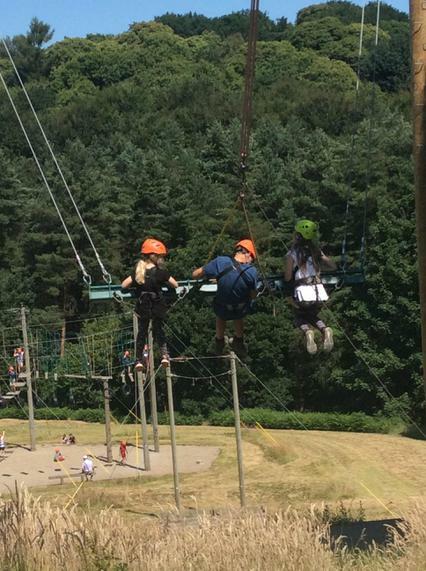 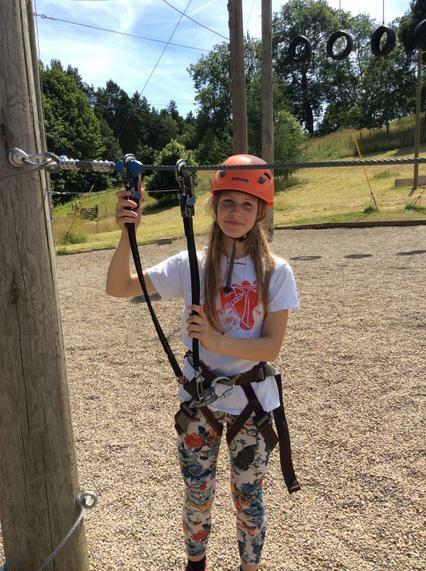 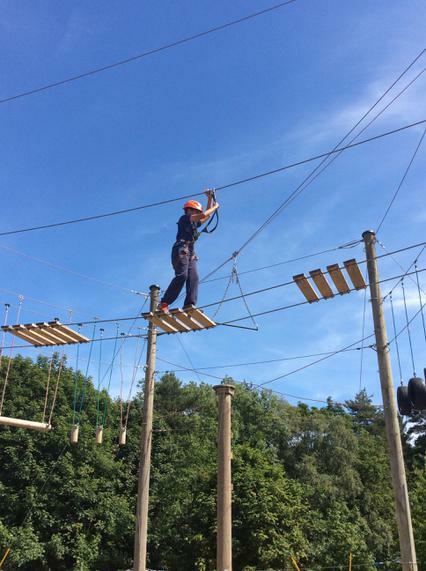 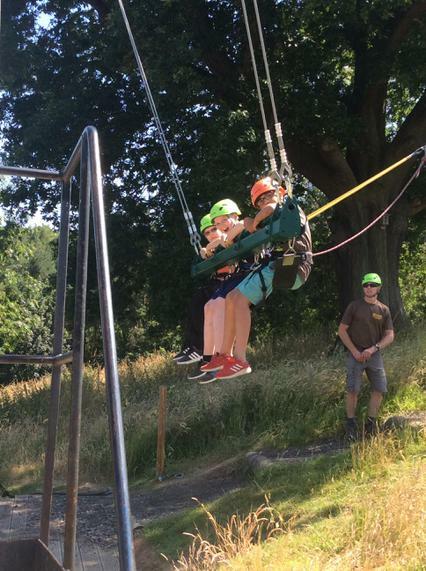 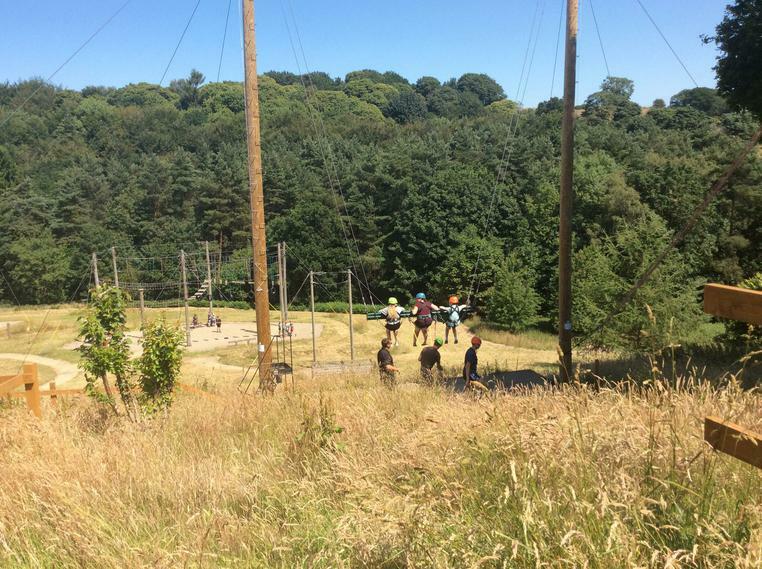 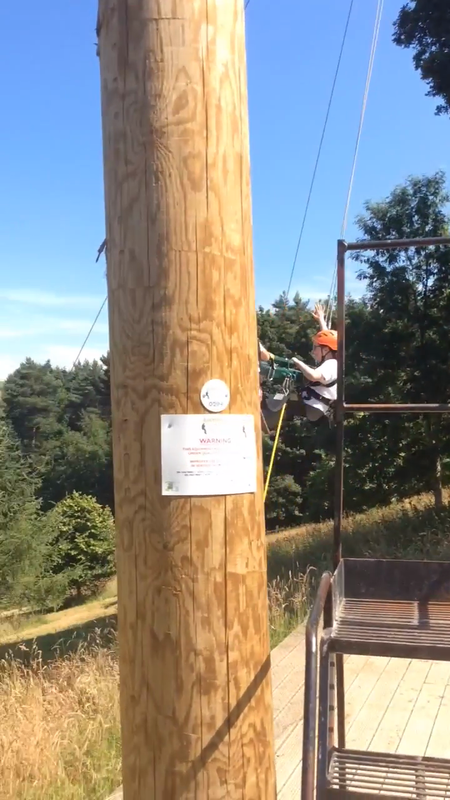 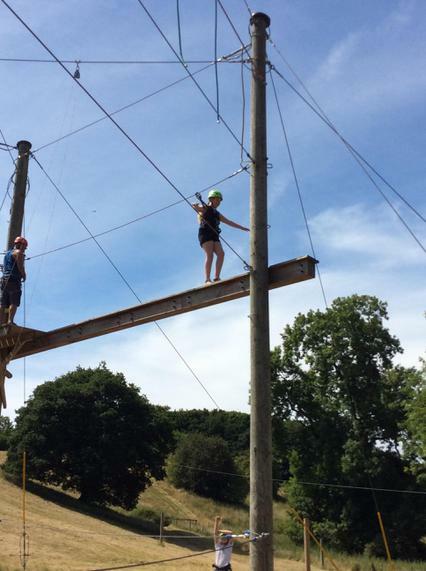 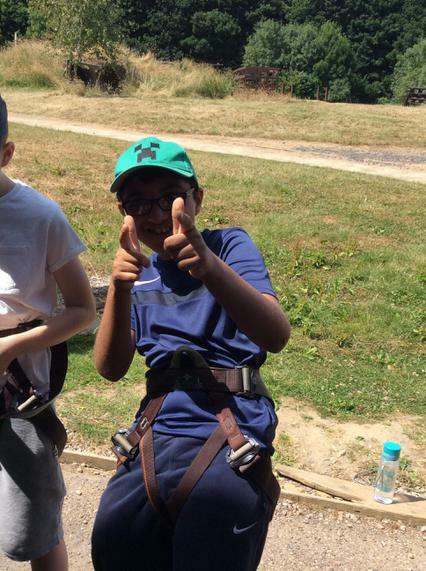 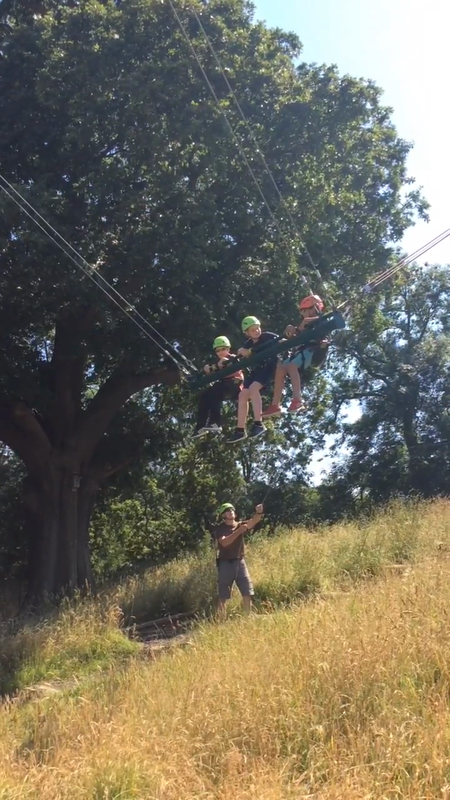 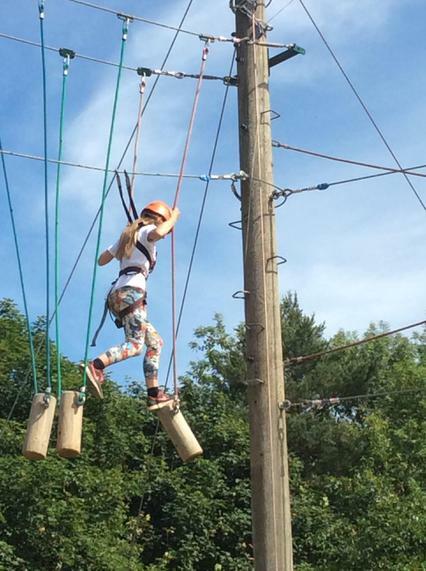 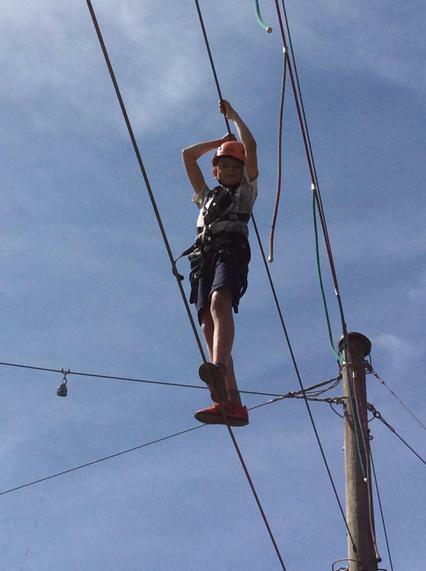 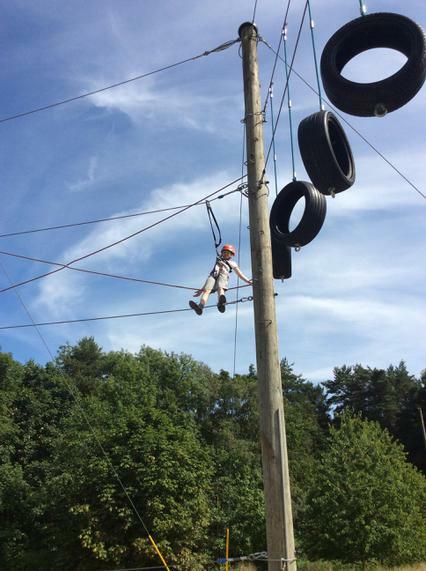 We have all had so much fun on the high ropes this afternoon. 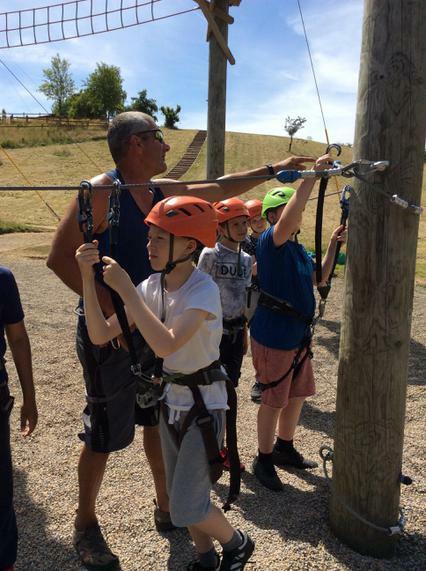 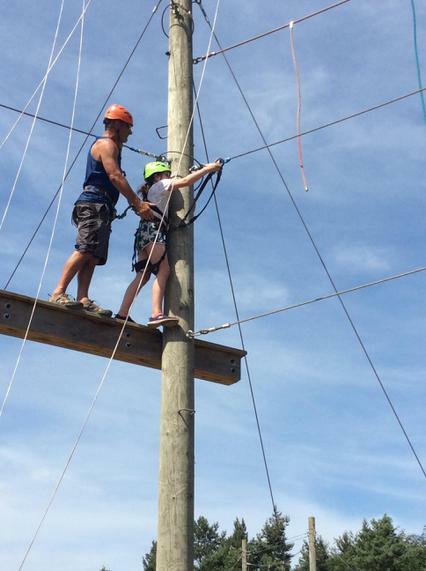 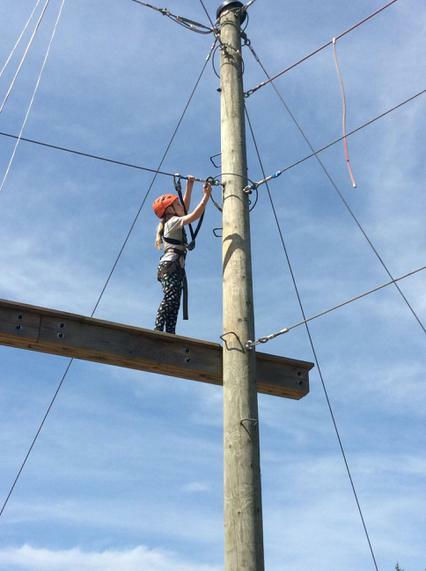 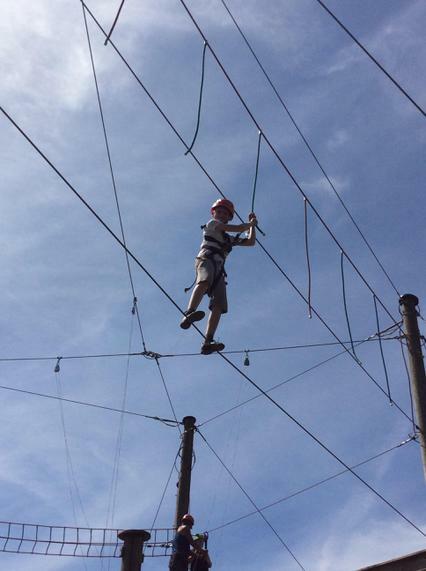 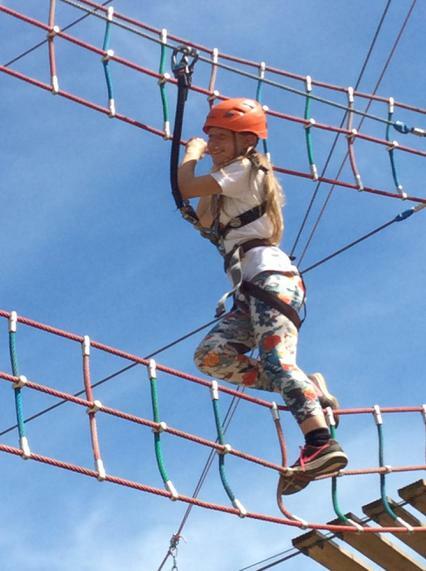 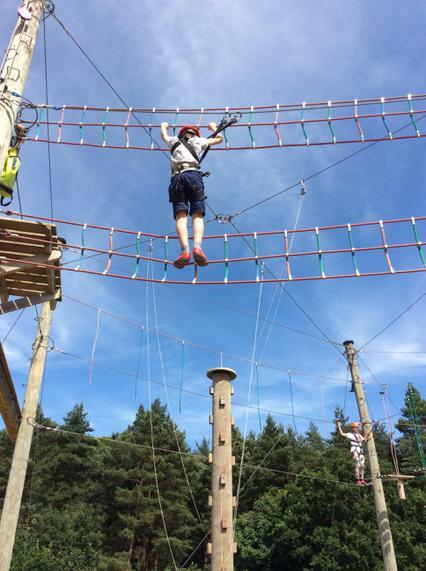 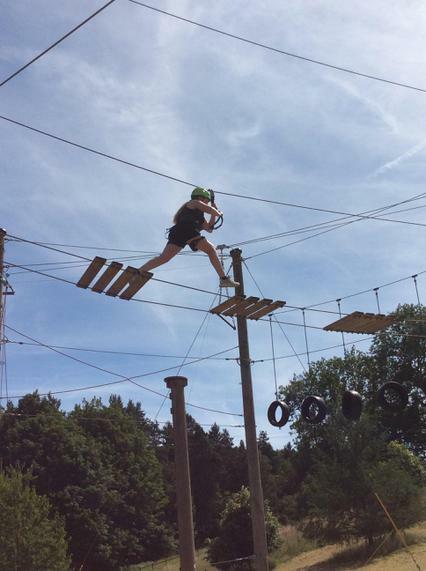 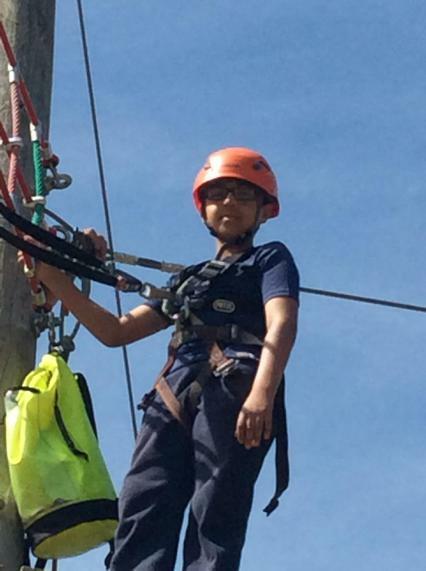 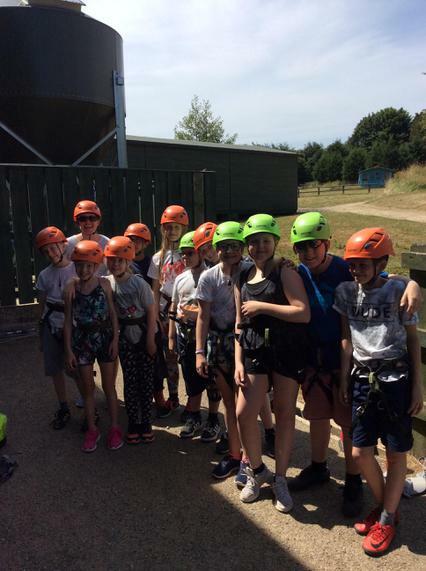 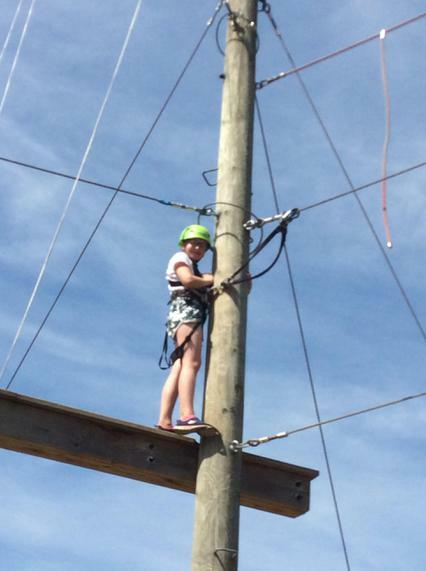 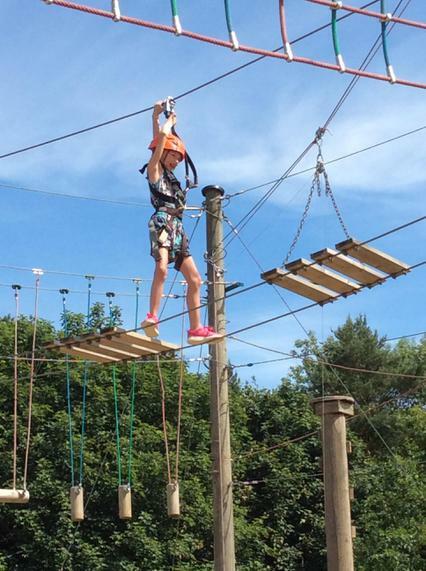 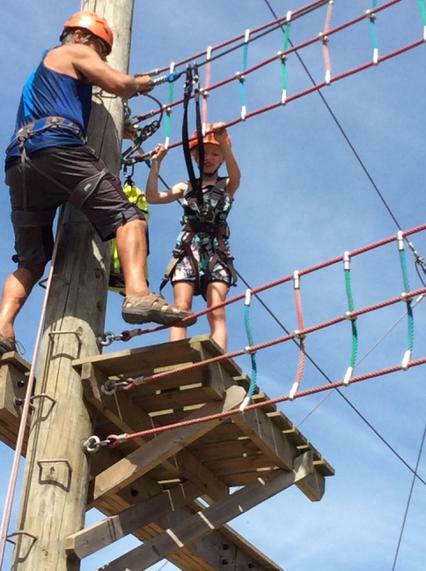 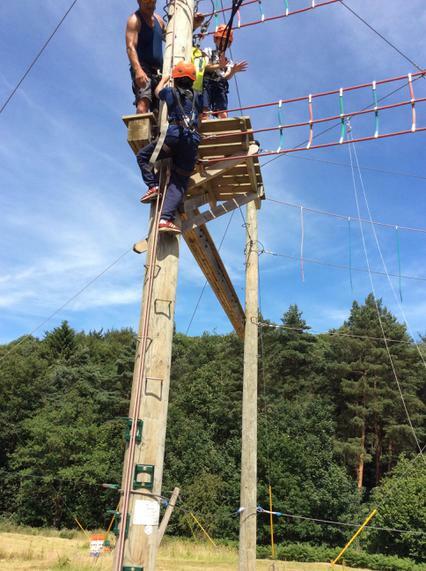 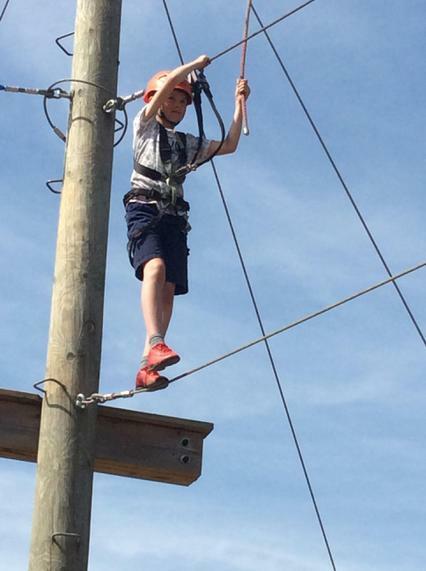 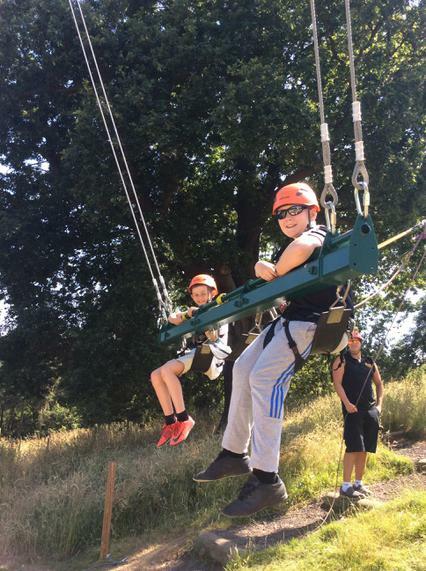 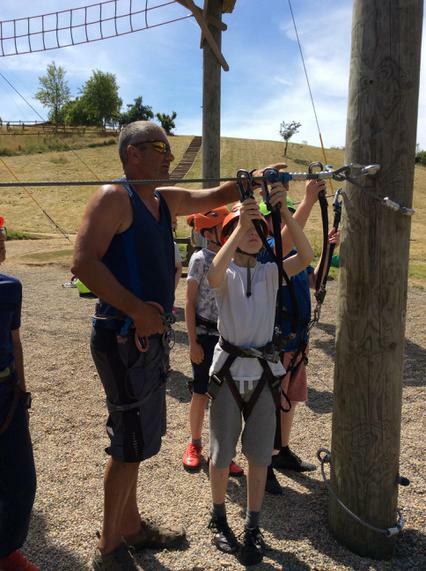 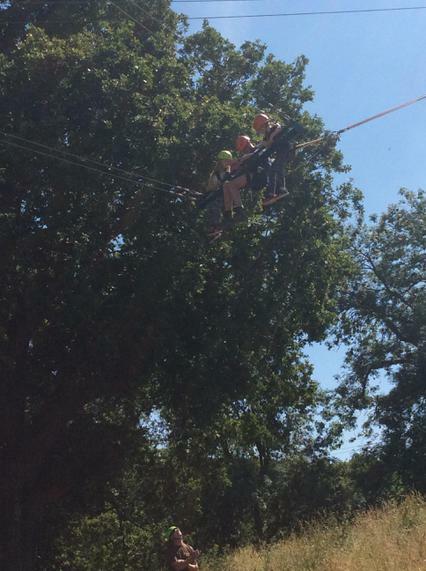 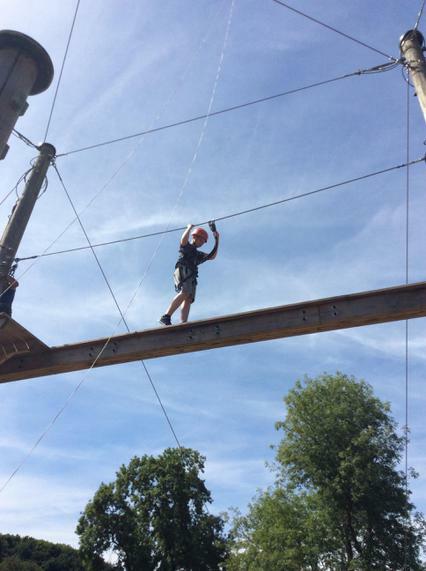 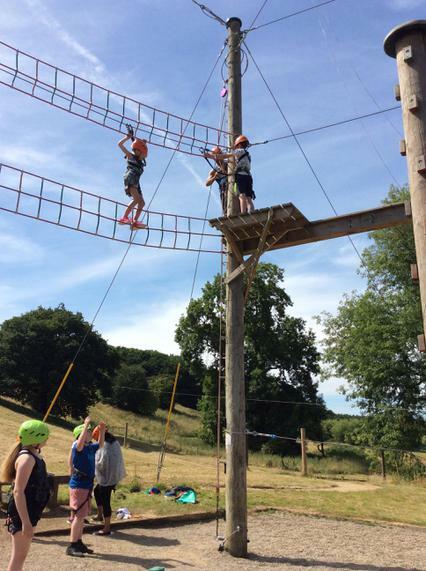 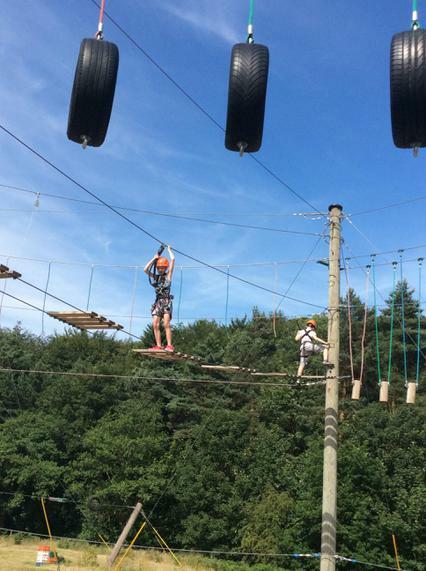 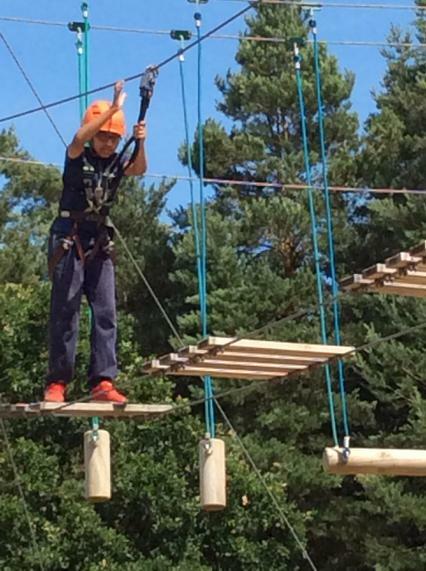 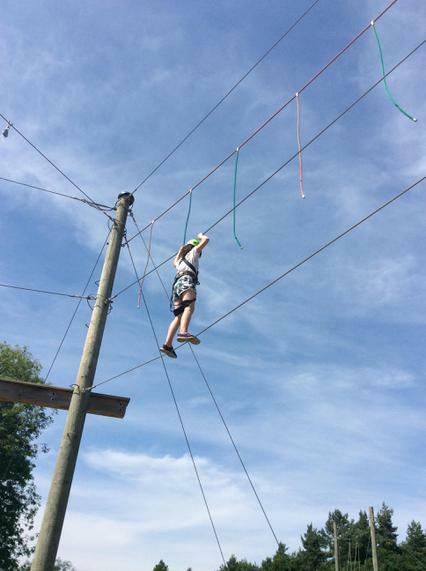 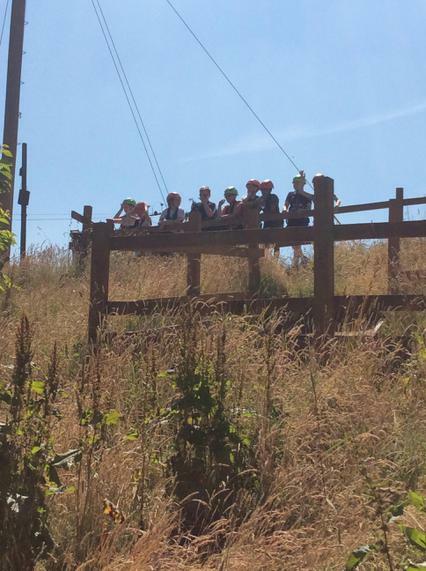 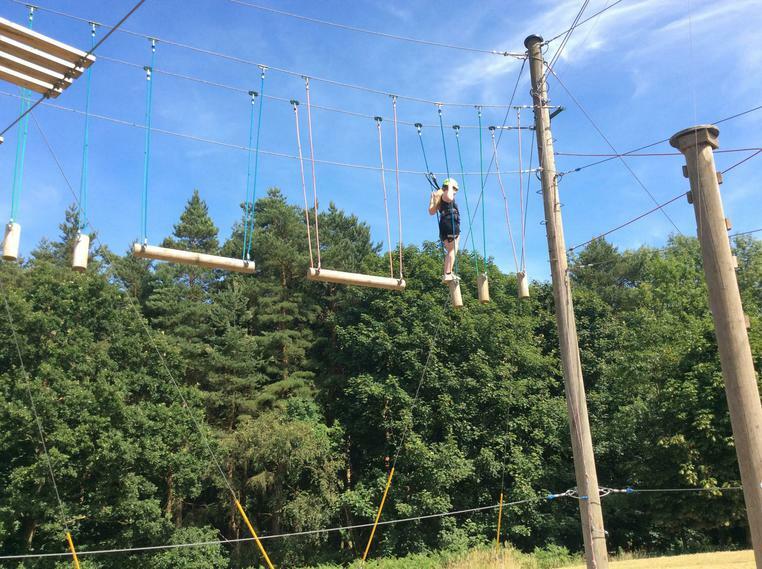 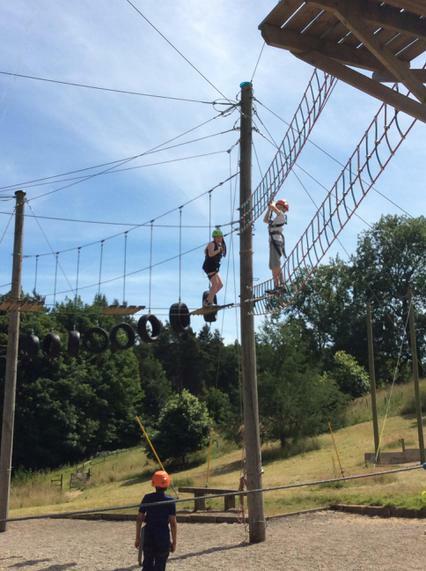 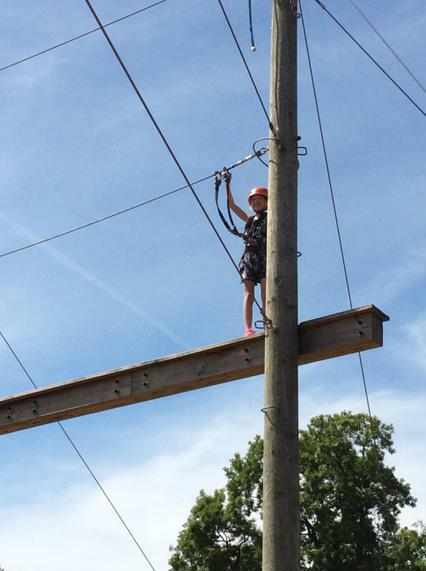 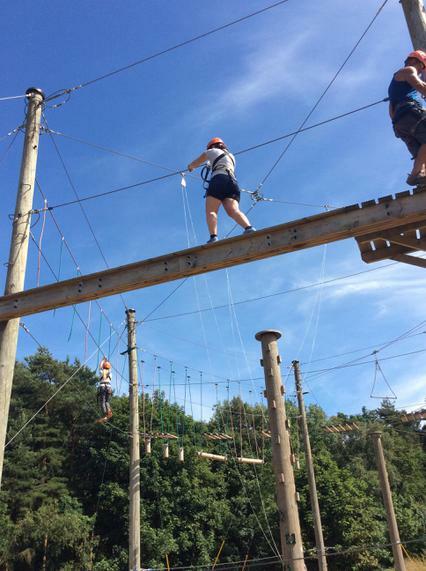 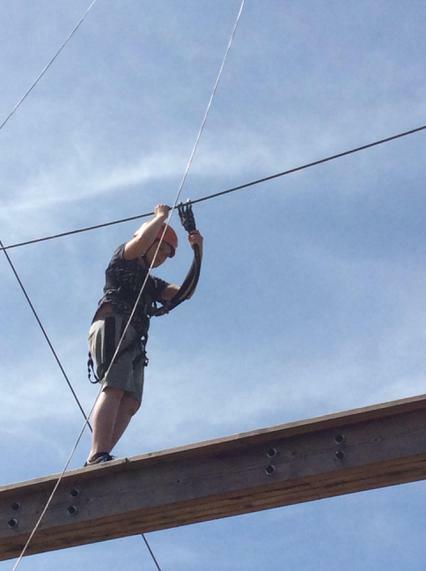 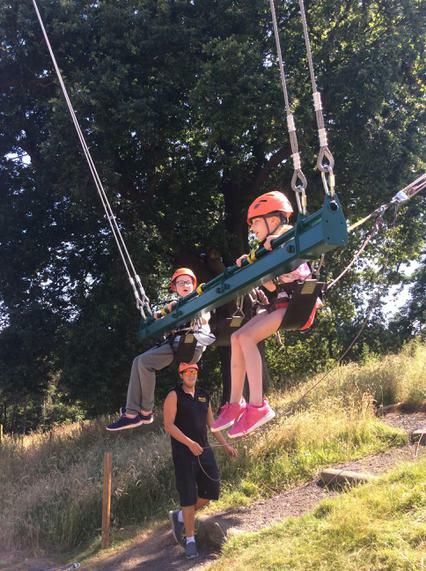 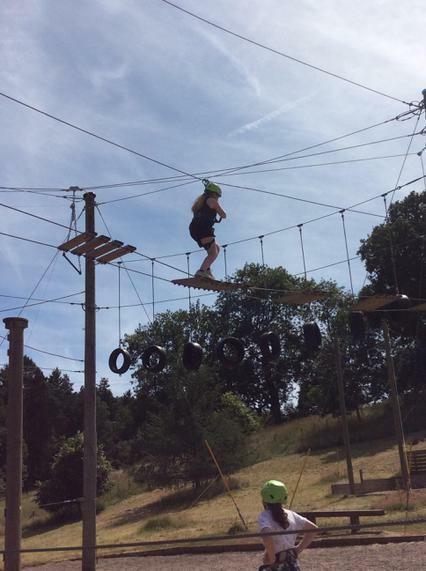 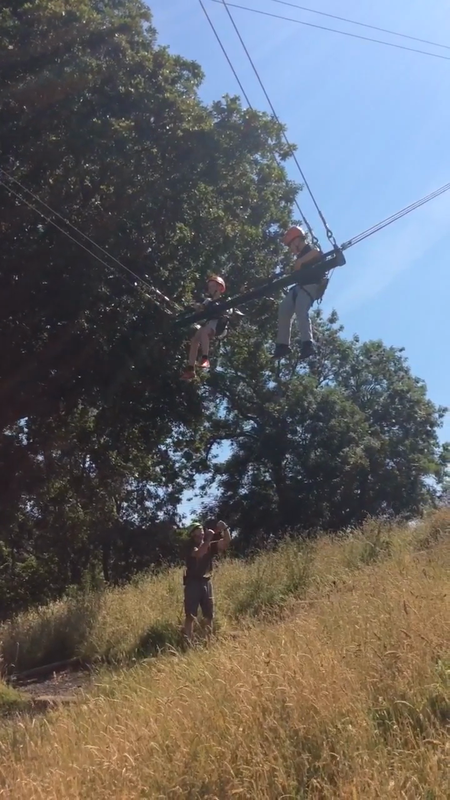 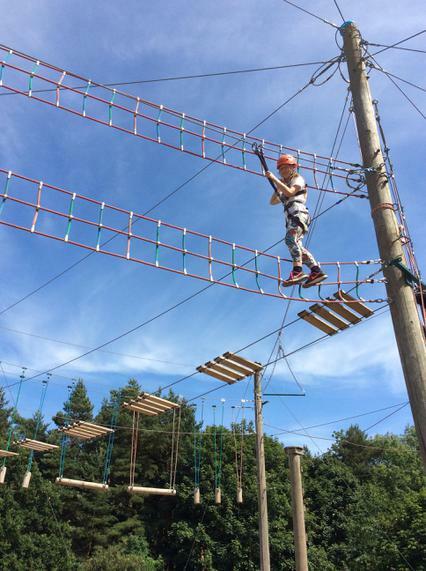 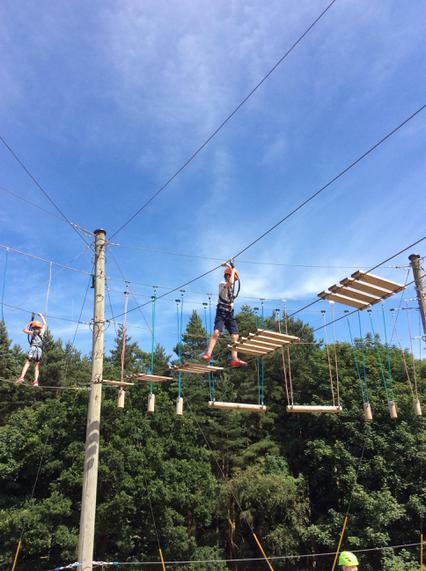 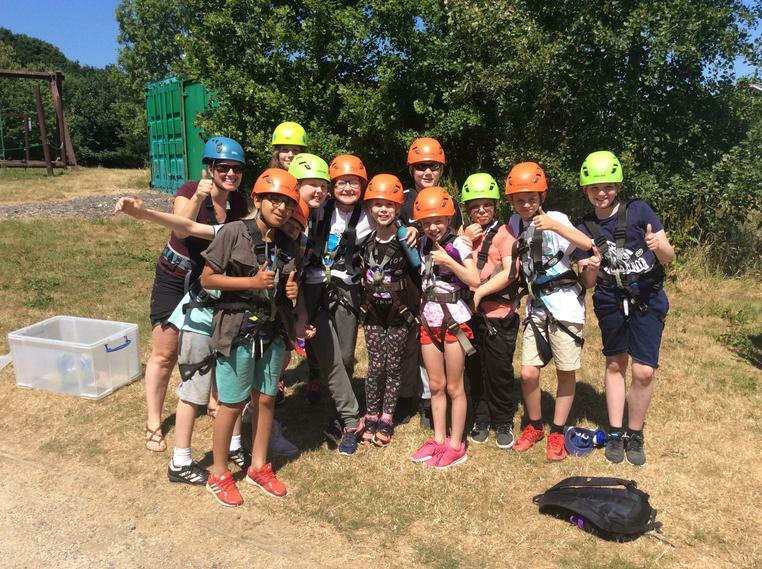 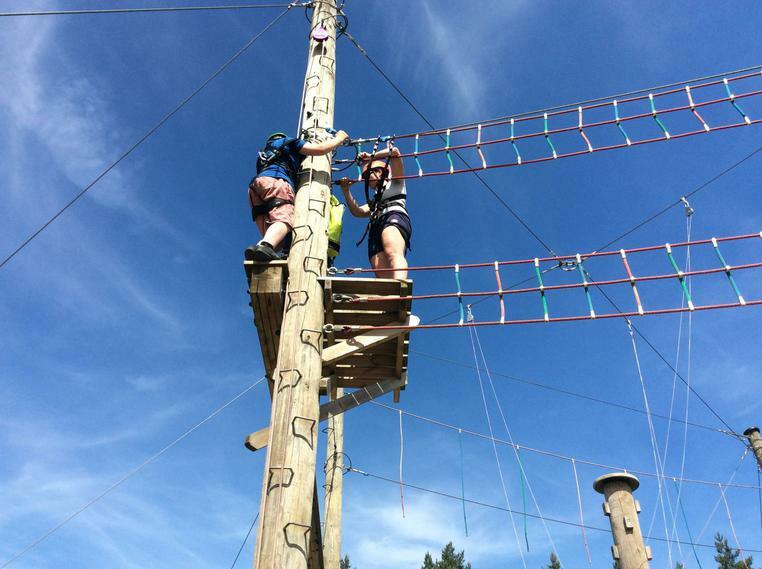 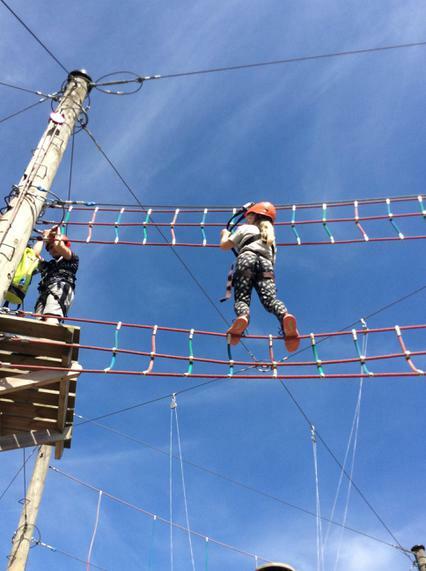 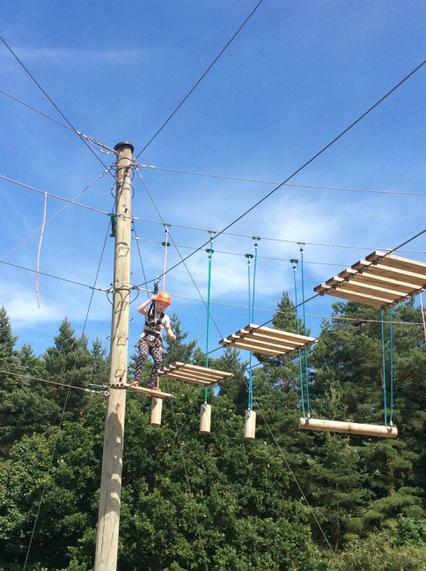 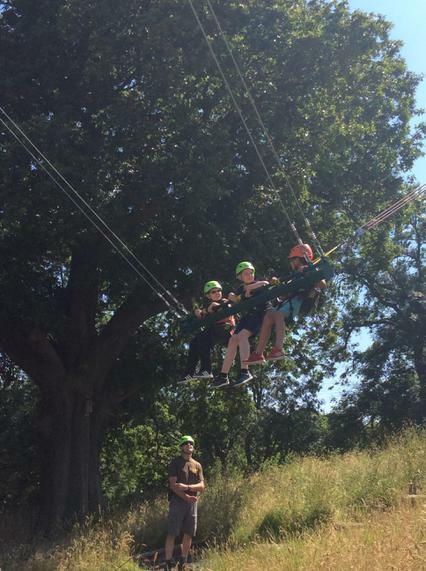 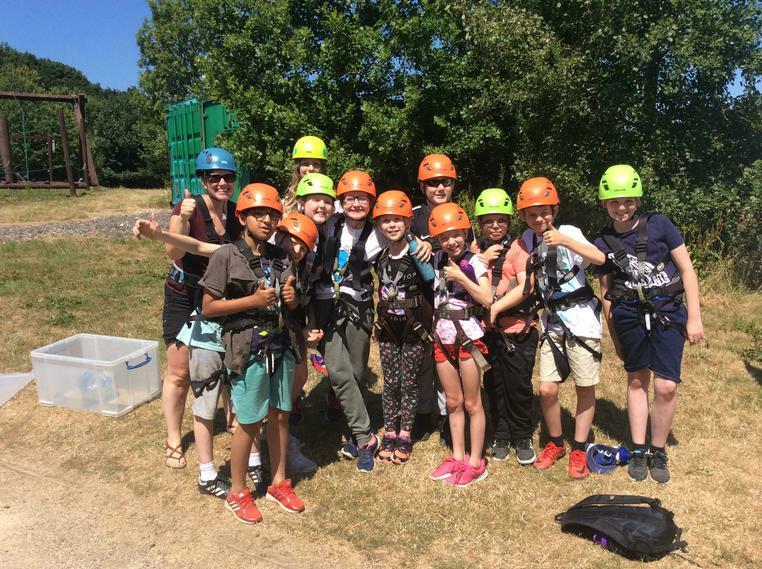 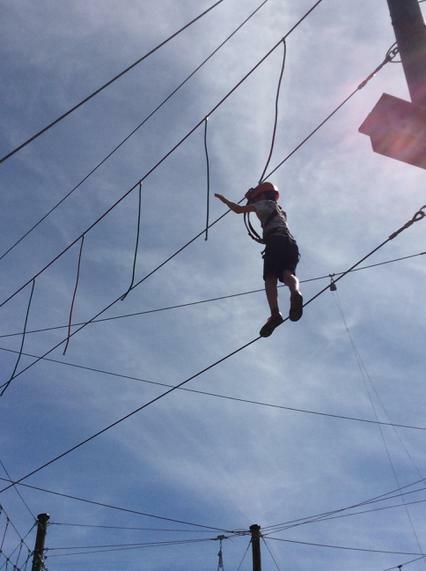 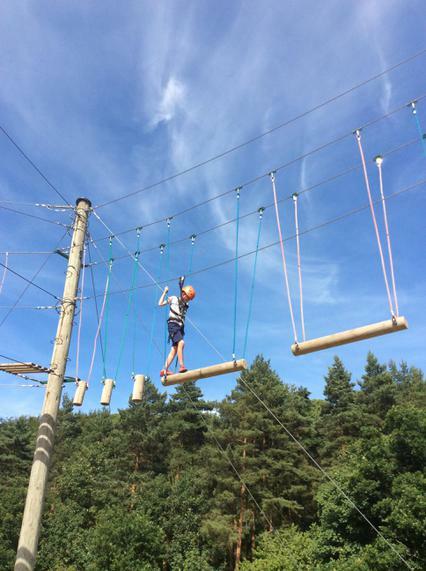 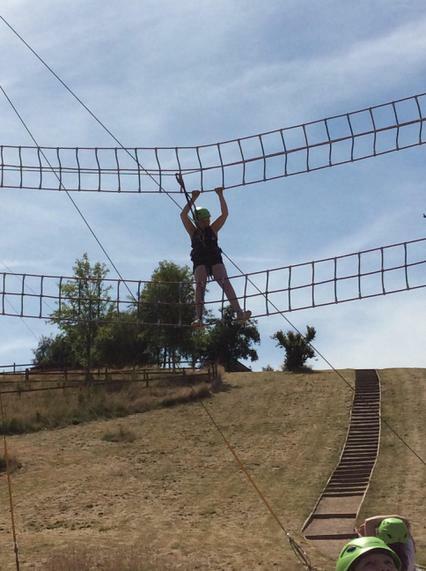 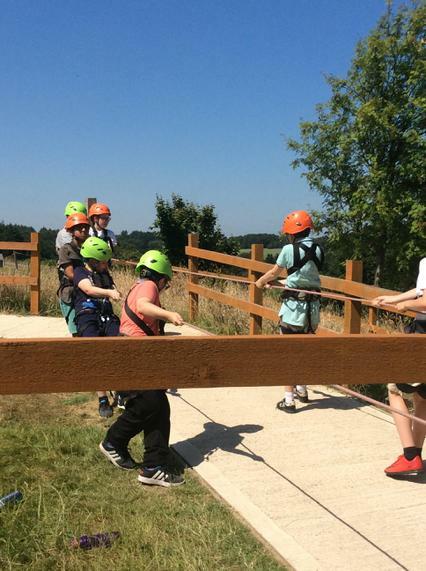 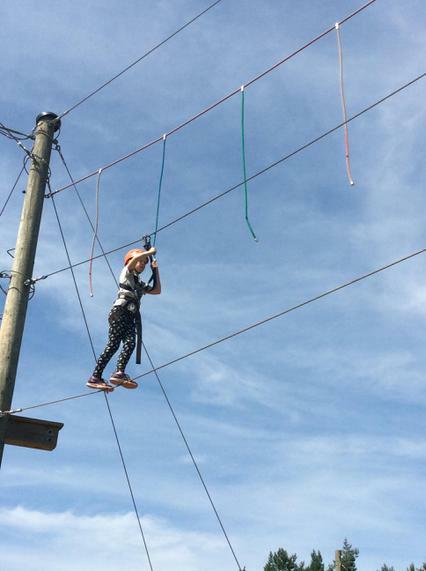 Everyone had a great time and quite a few conquered their fear of heights. 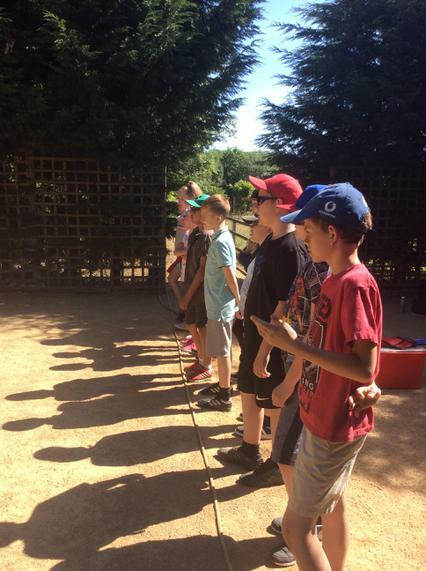 I am very proud of them all, Mrs Clarkson.